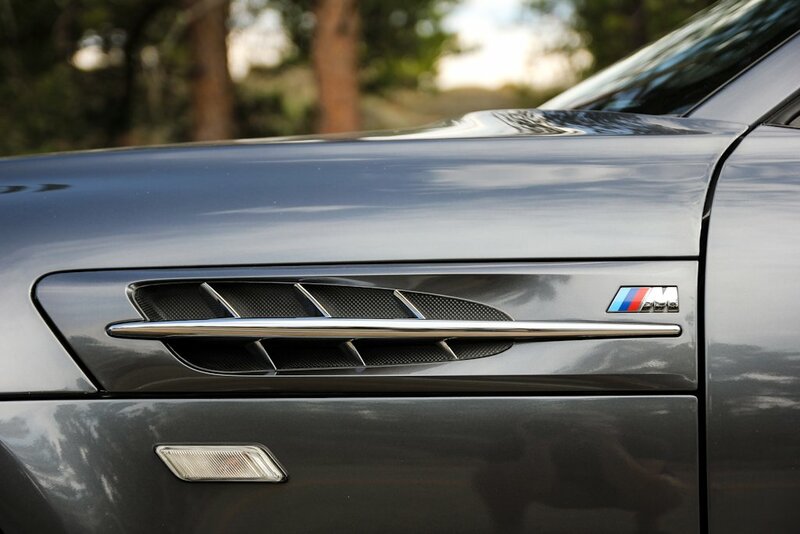 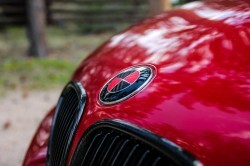 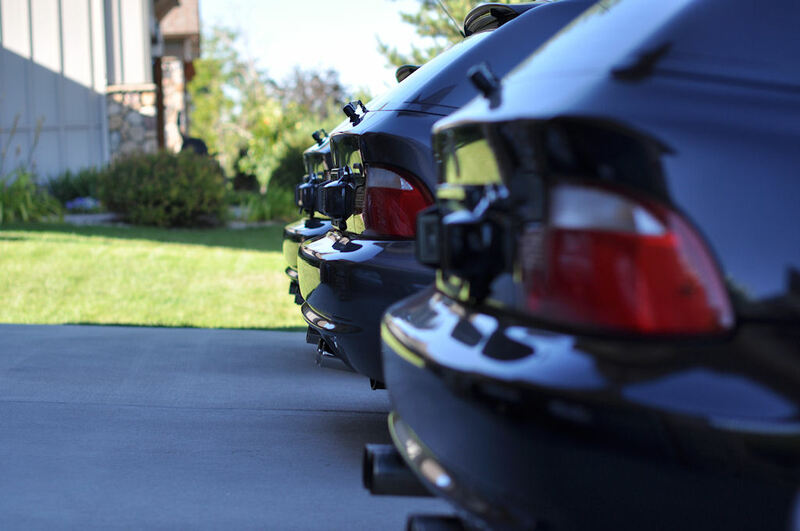 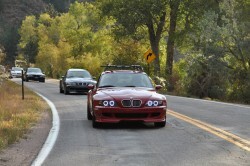 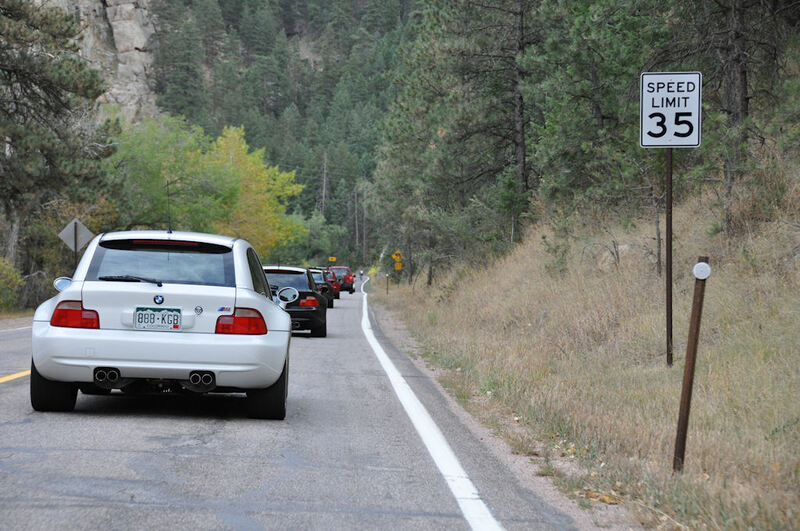 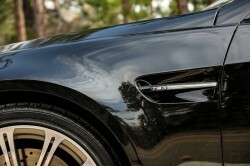 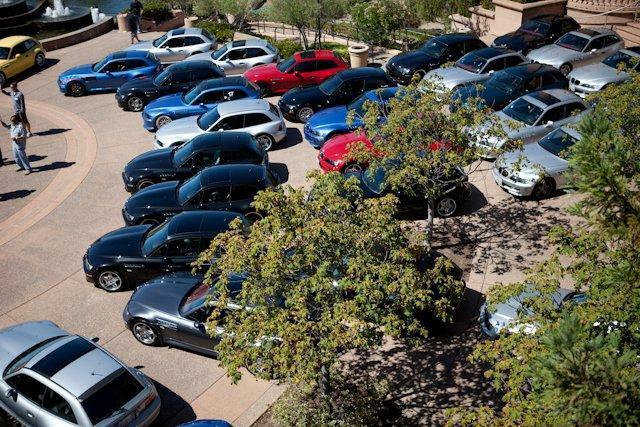 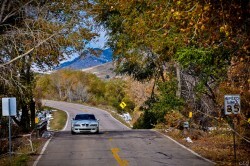 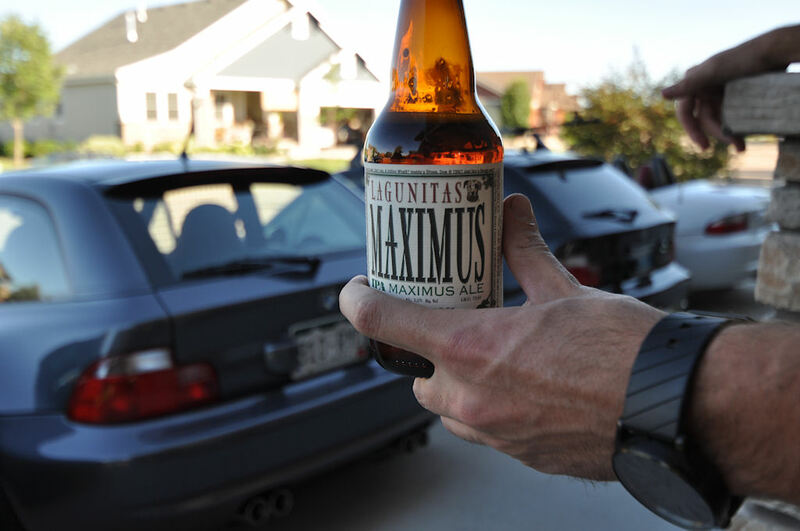 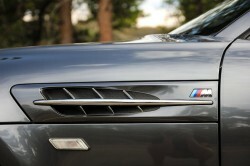 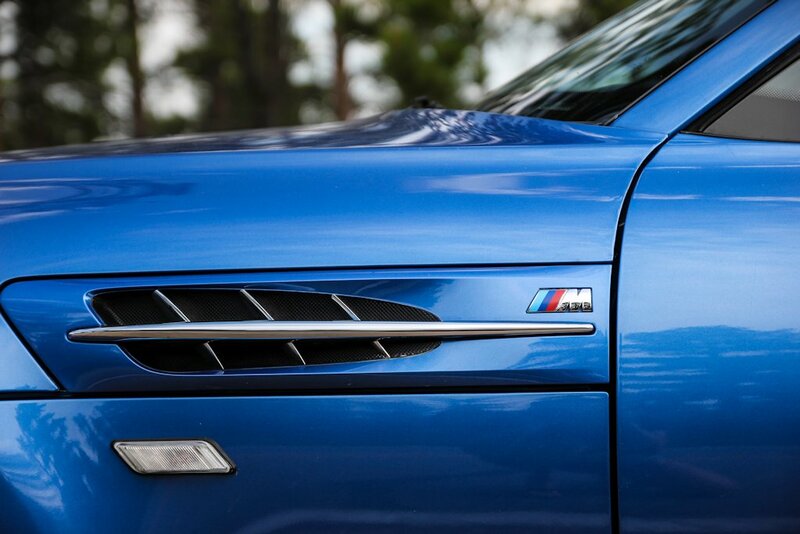 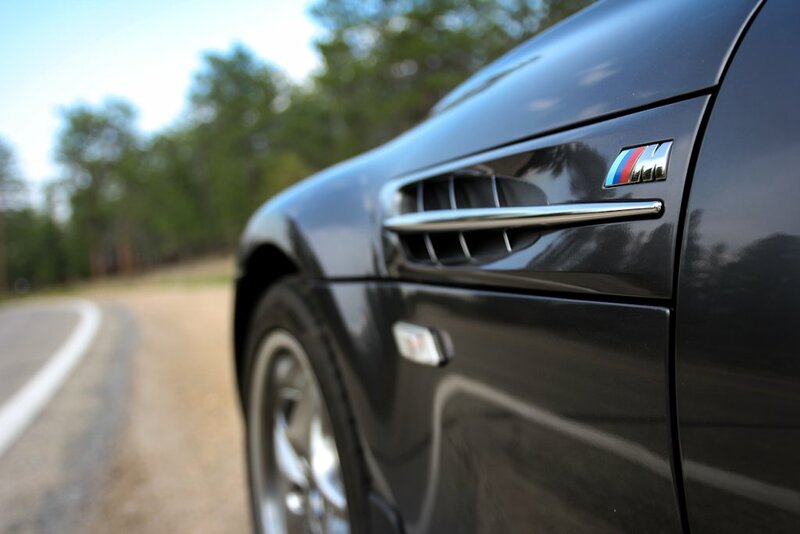 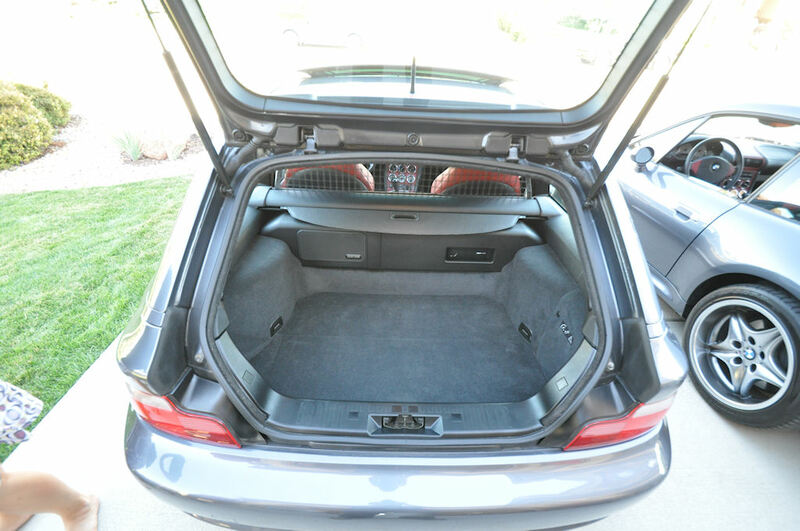 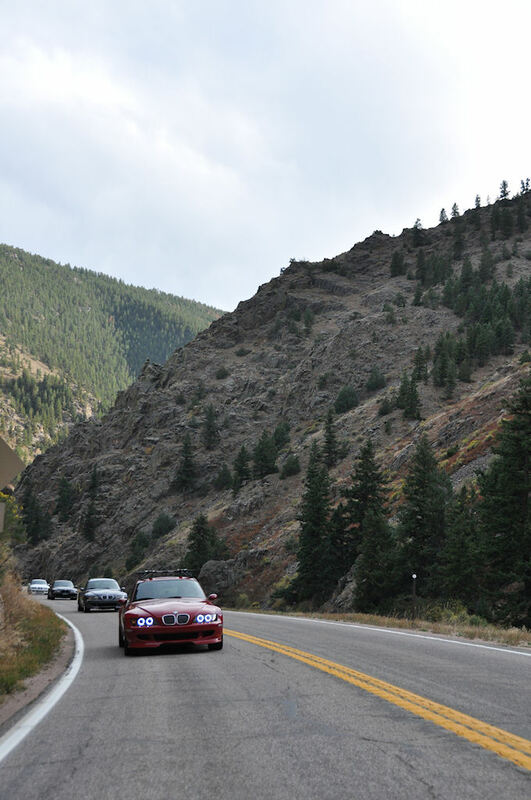 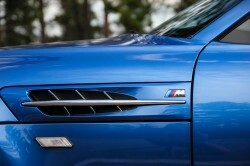 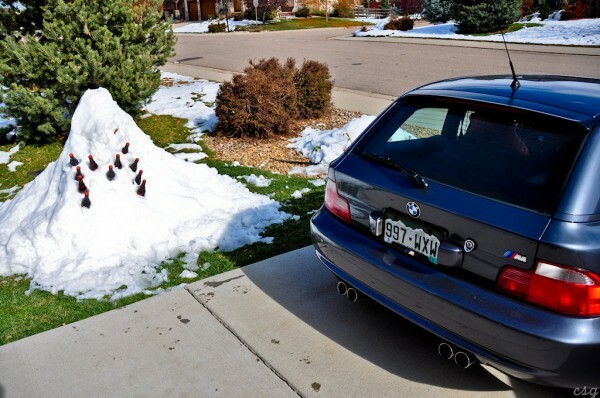 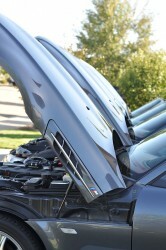 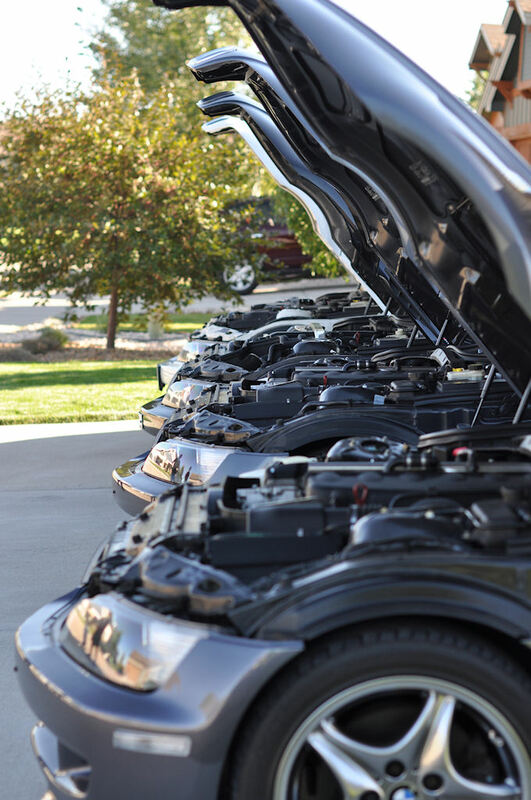 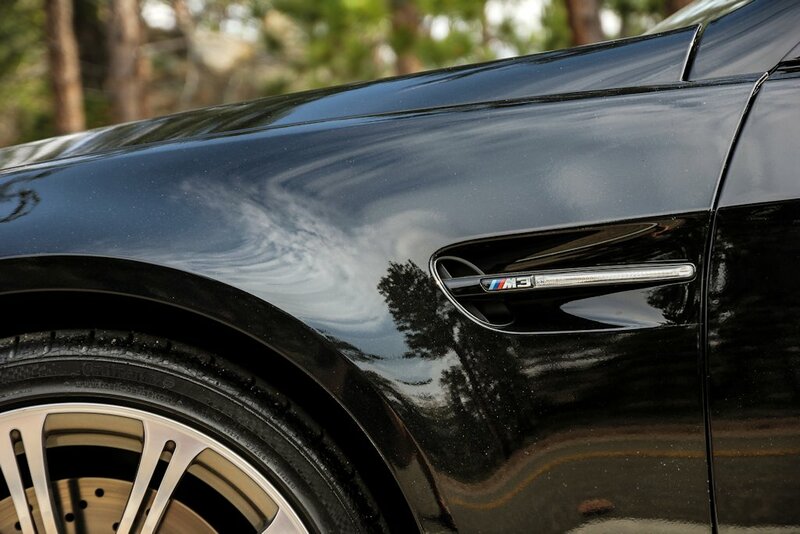 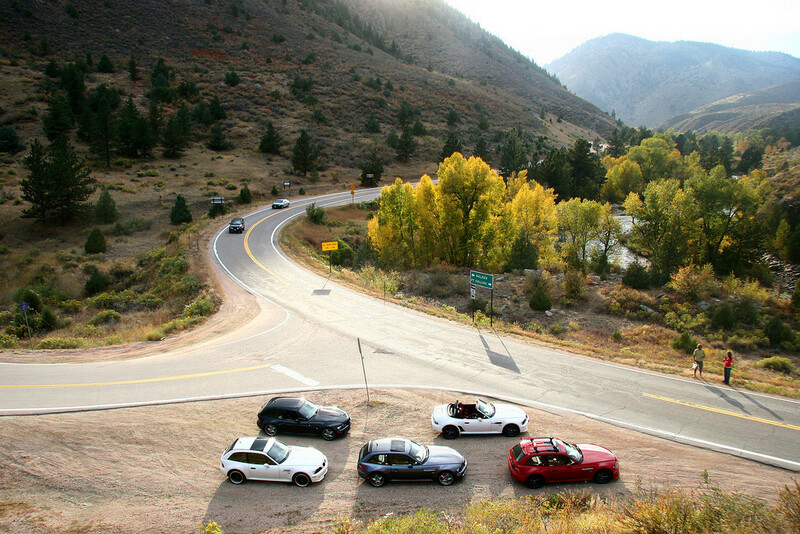 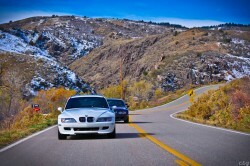 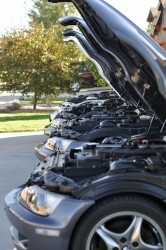 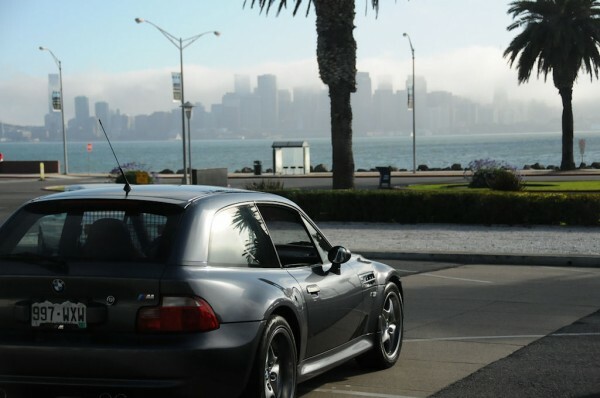 Fall is officially here, which means it’s time for the M Coupe Buyers Guide Fall Barbecue. 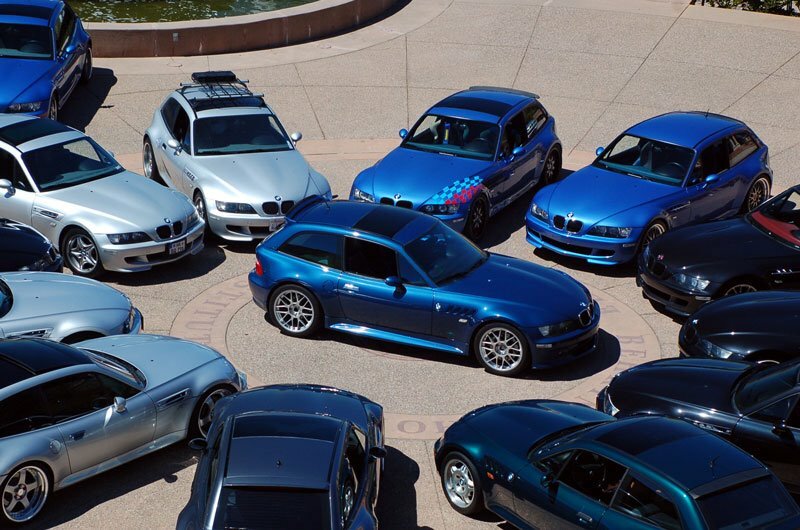 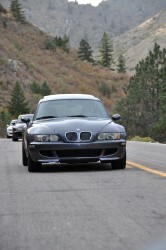 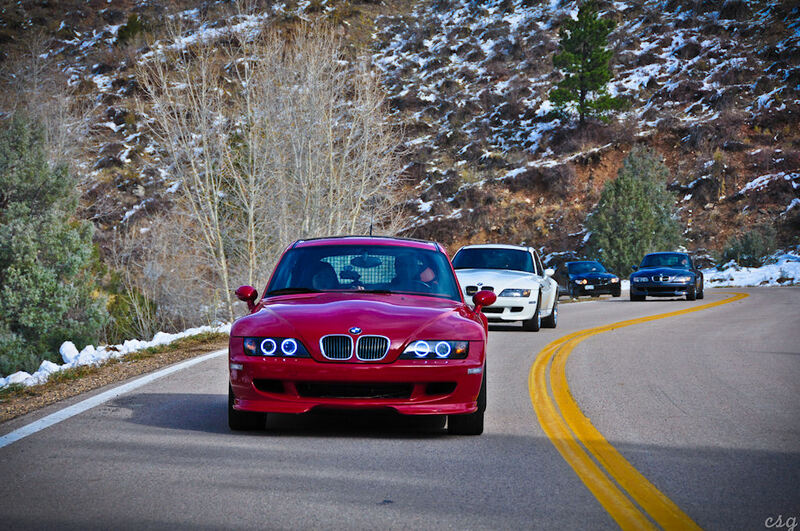 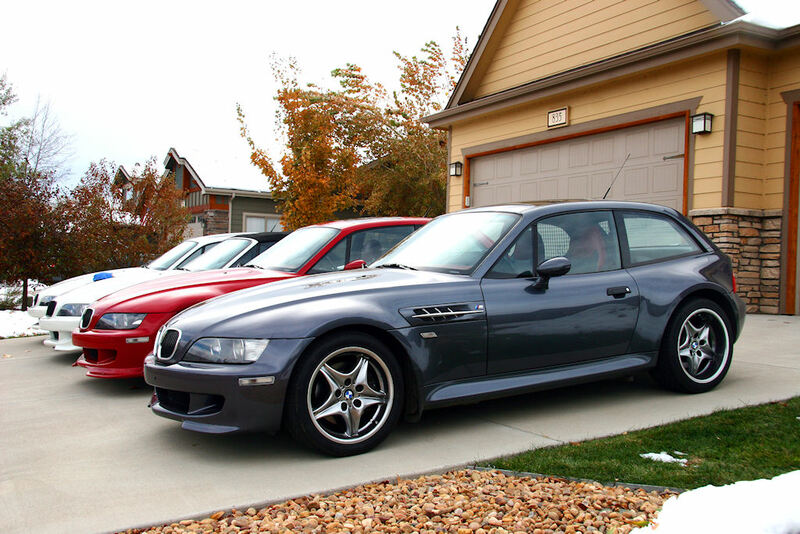 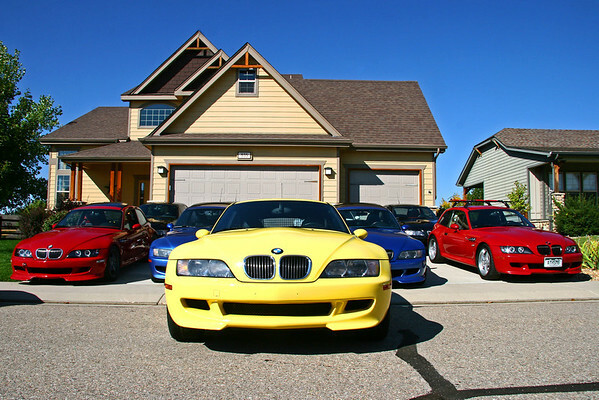 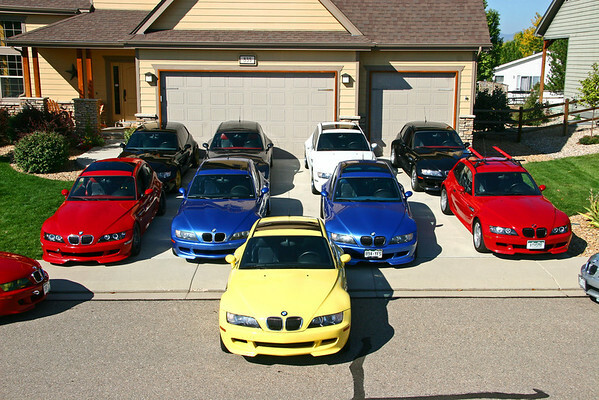 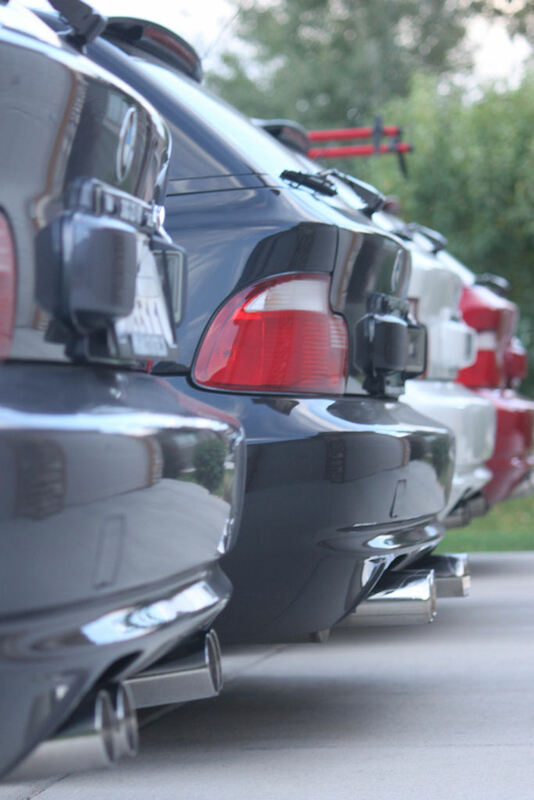 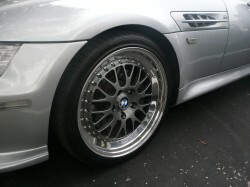 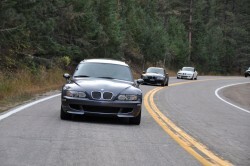 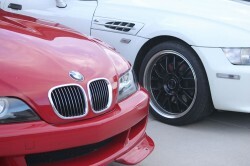 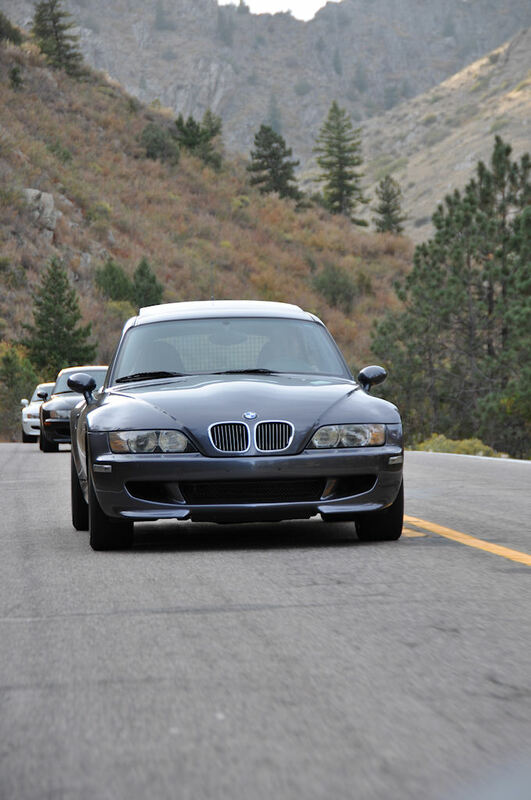 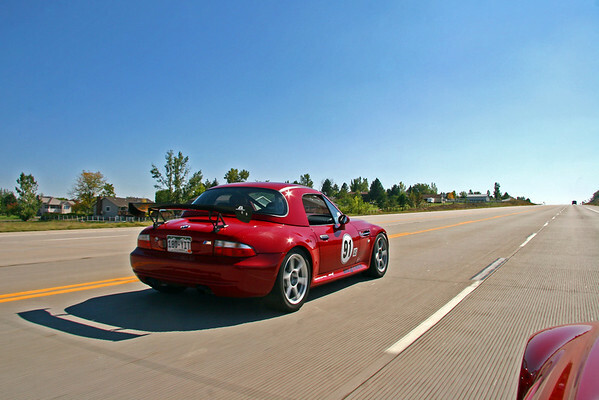 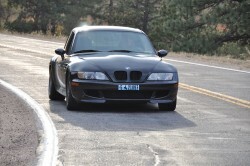 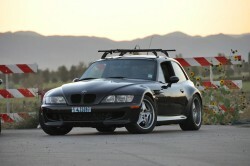 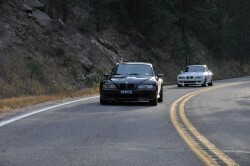 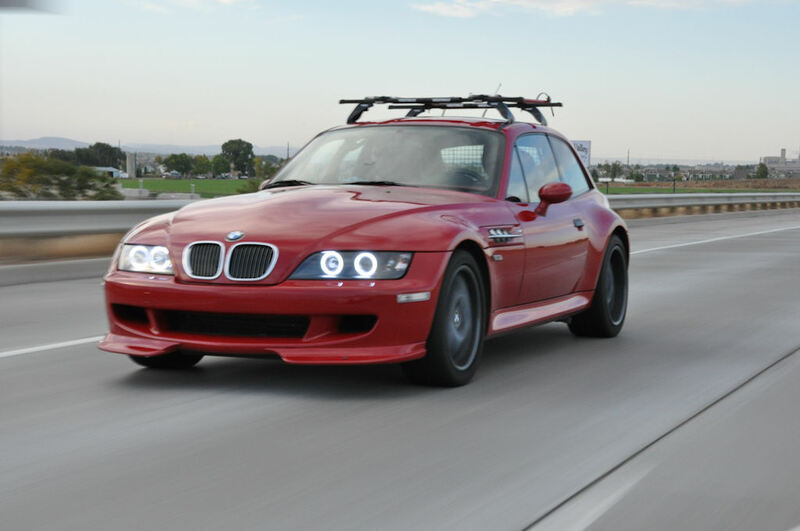 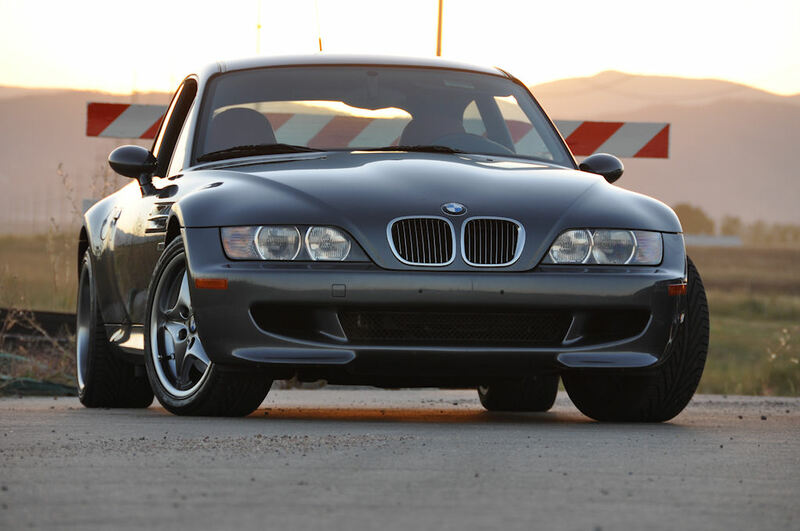 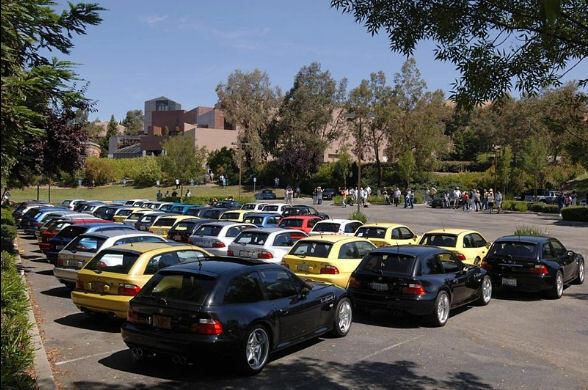 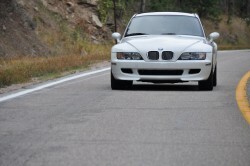 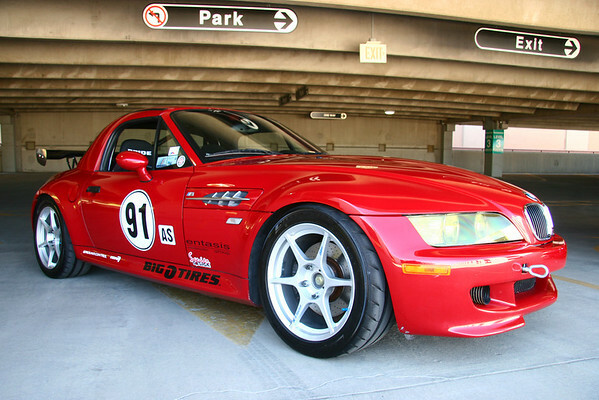 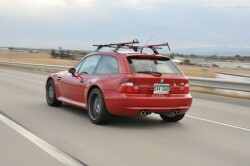 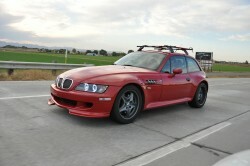 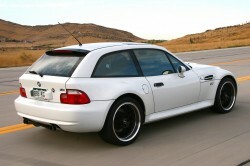 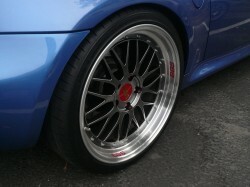 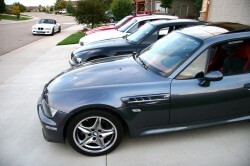 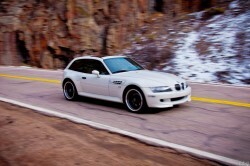 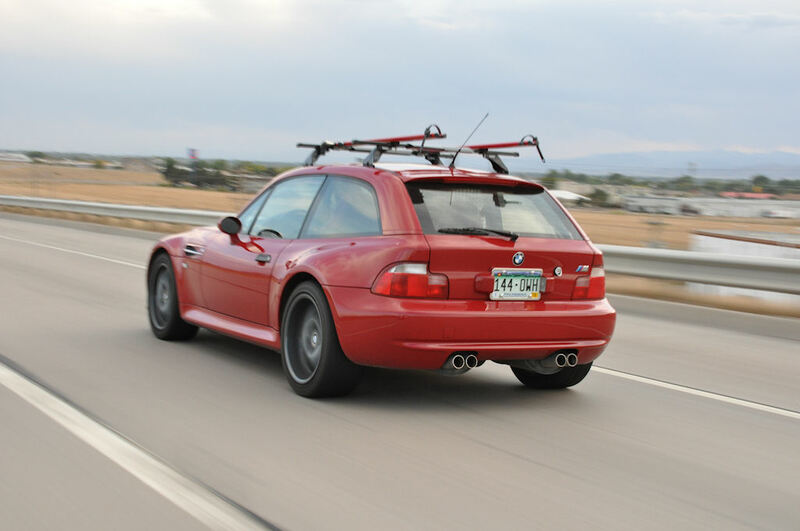 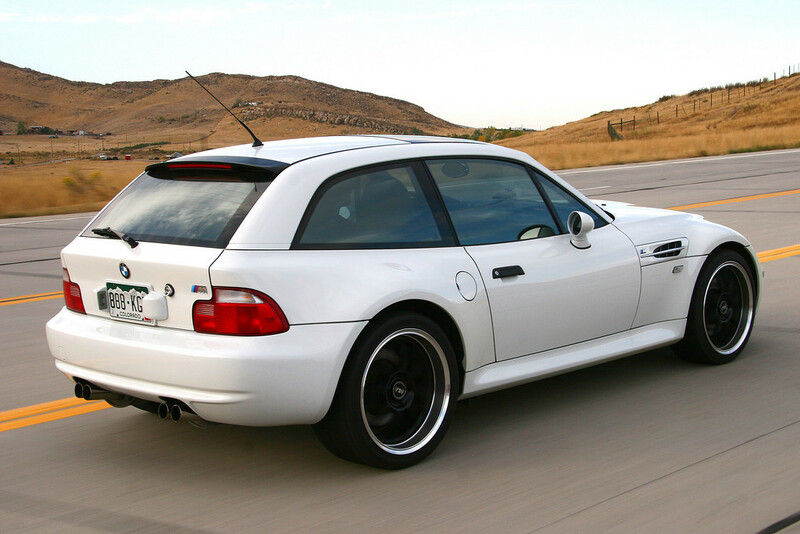 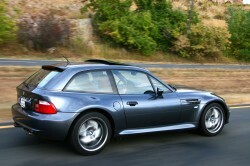 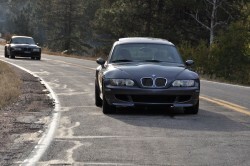 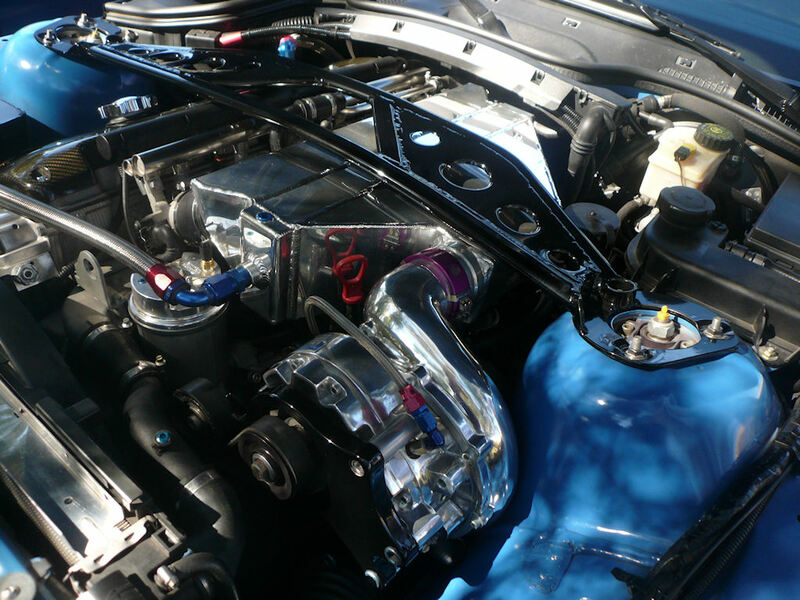 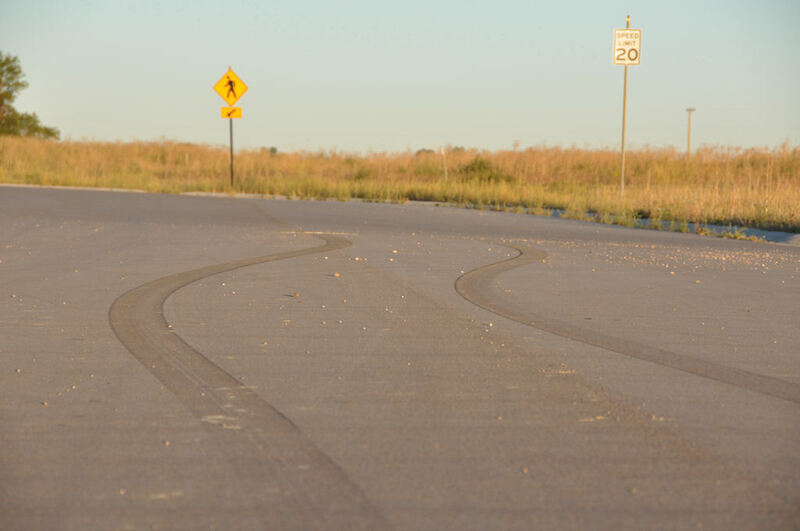 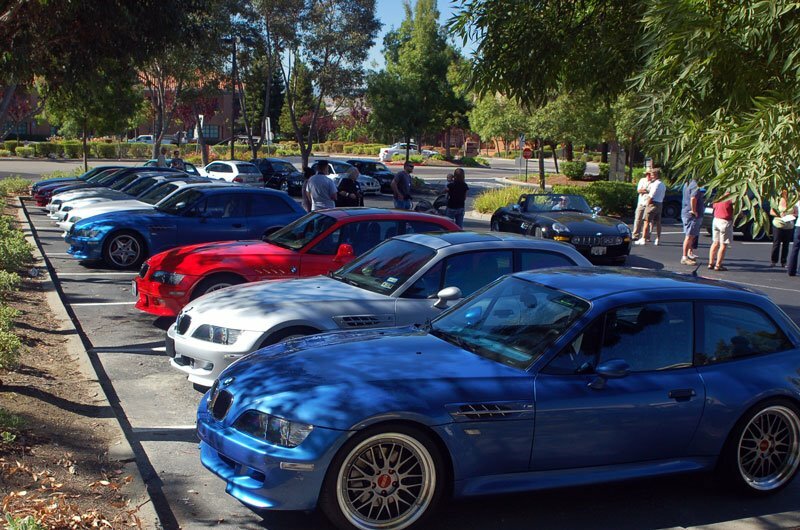 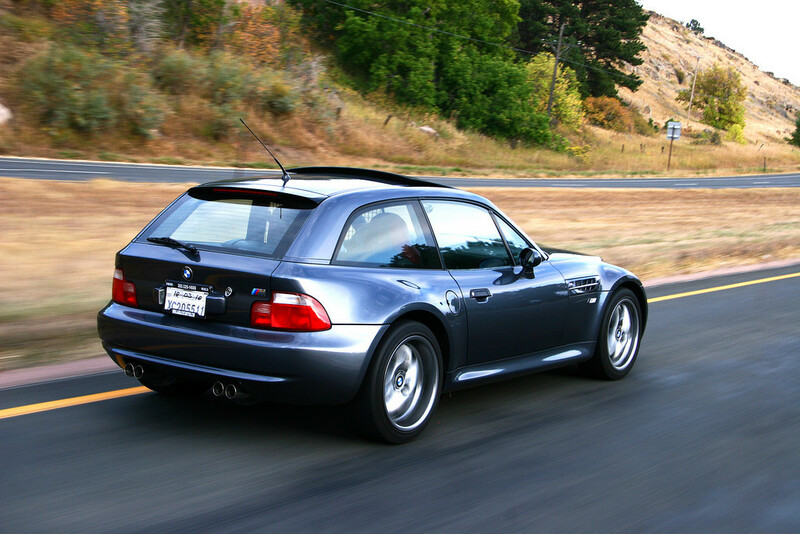 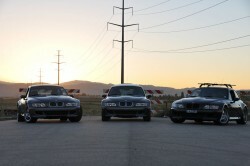 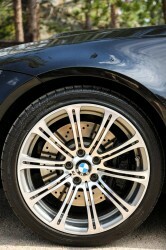 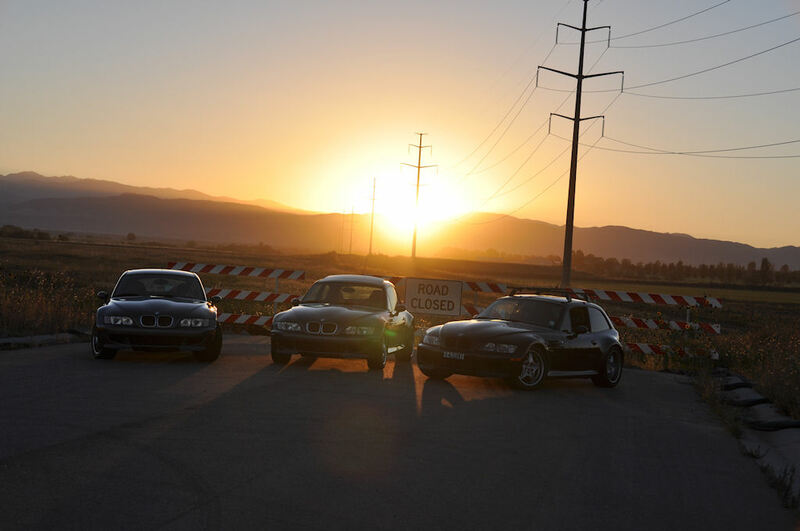 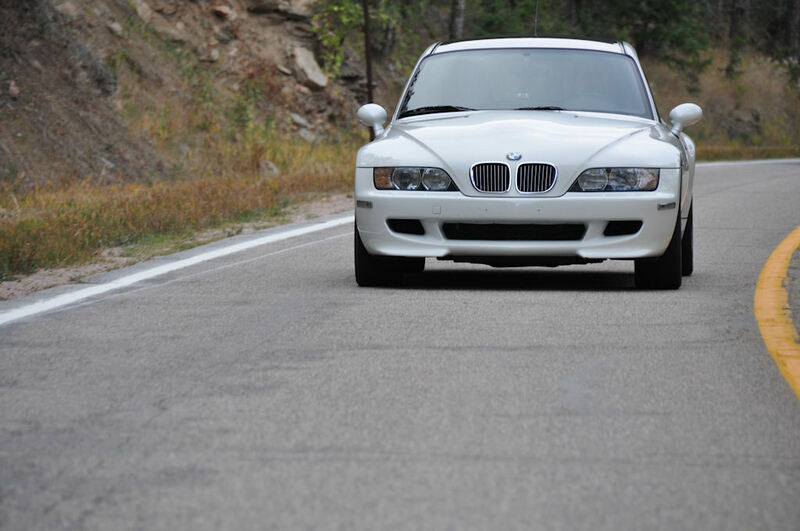 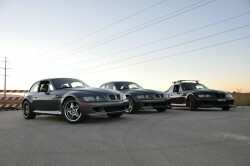 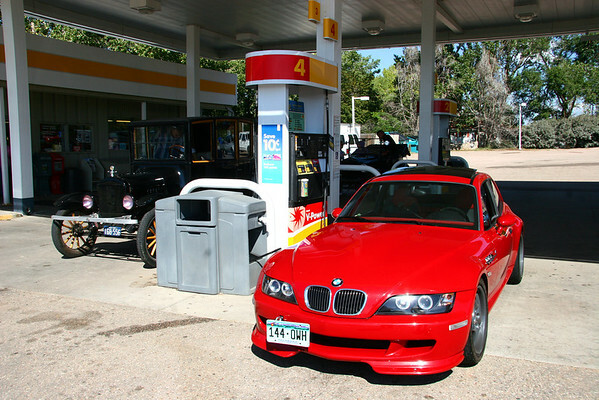 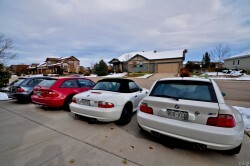 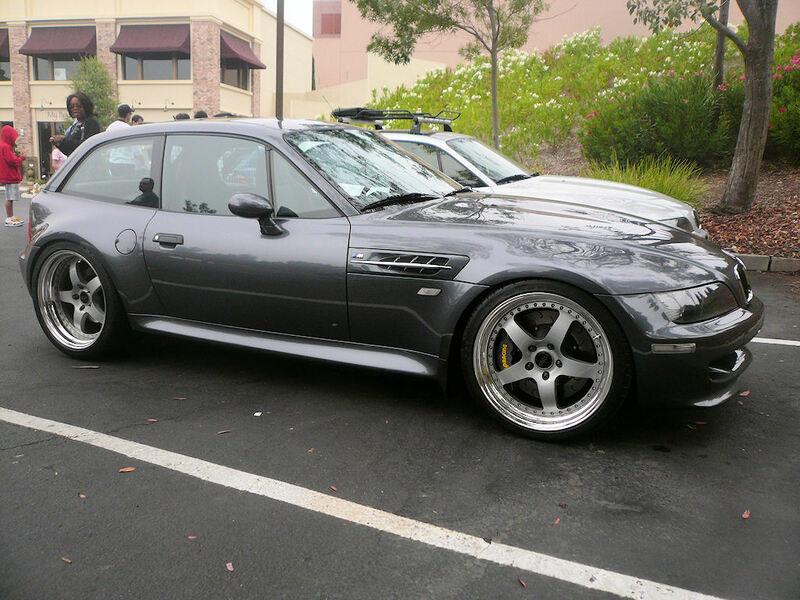 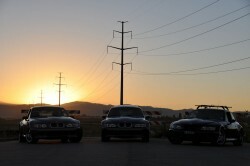 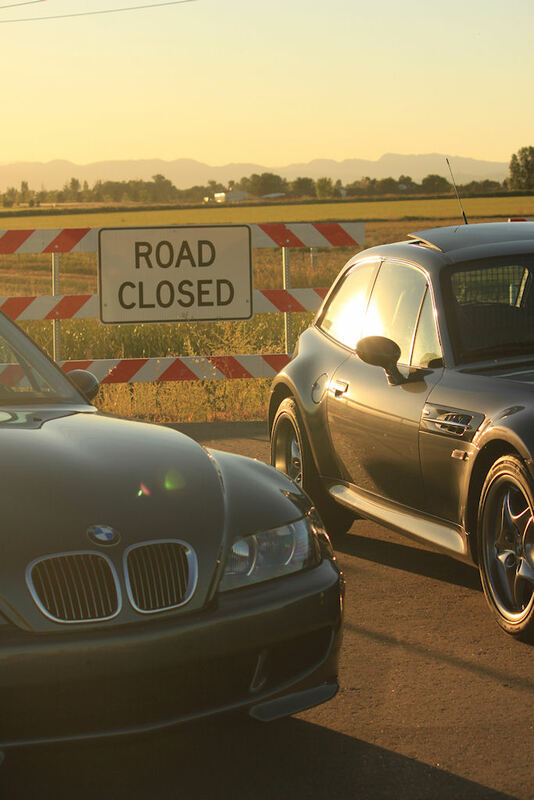 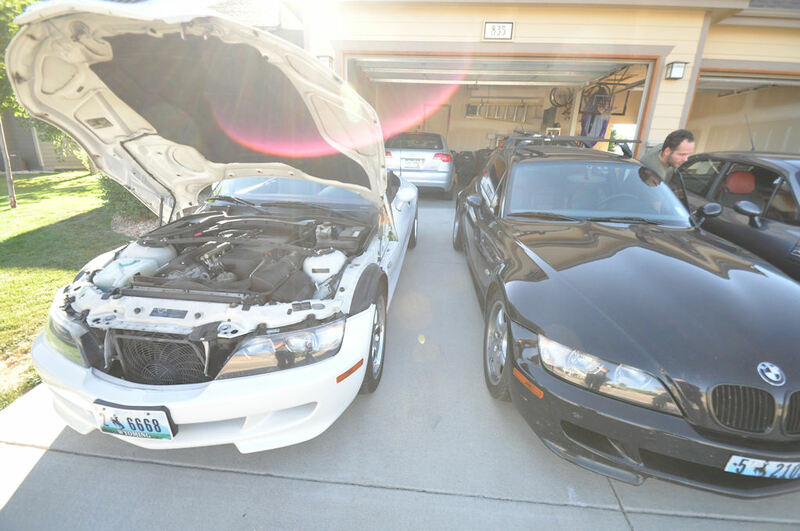 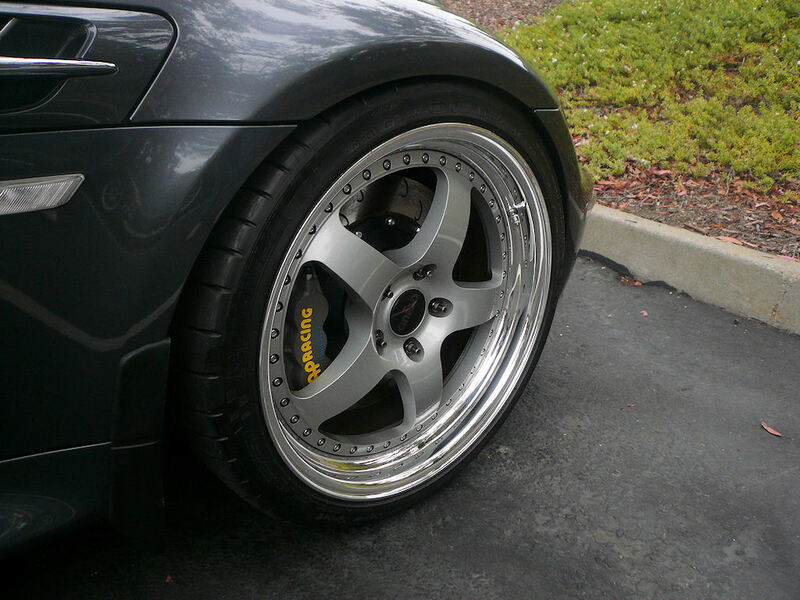 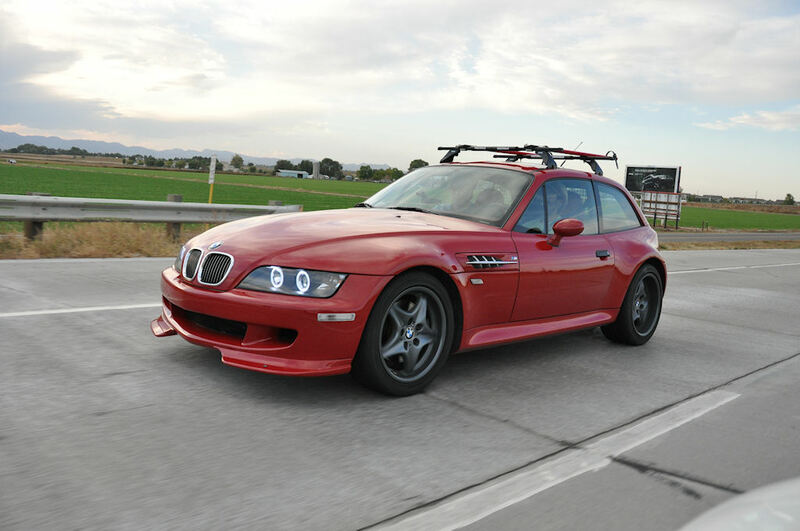 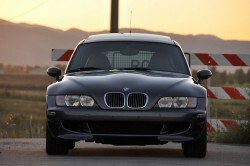 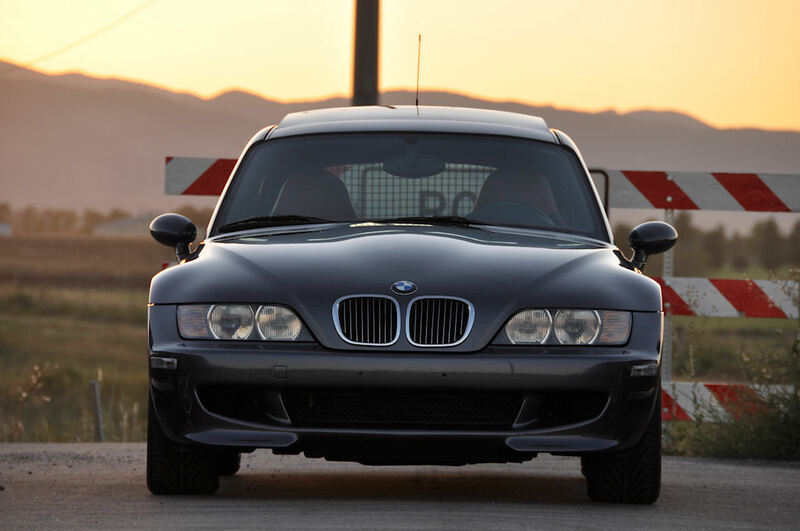 M Coupe Buyers Guide is the best M Coupe resource on the internet. 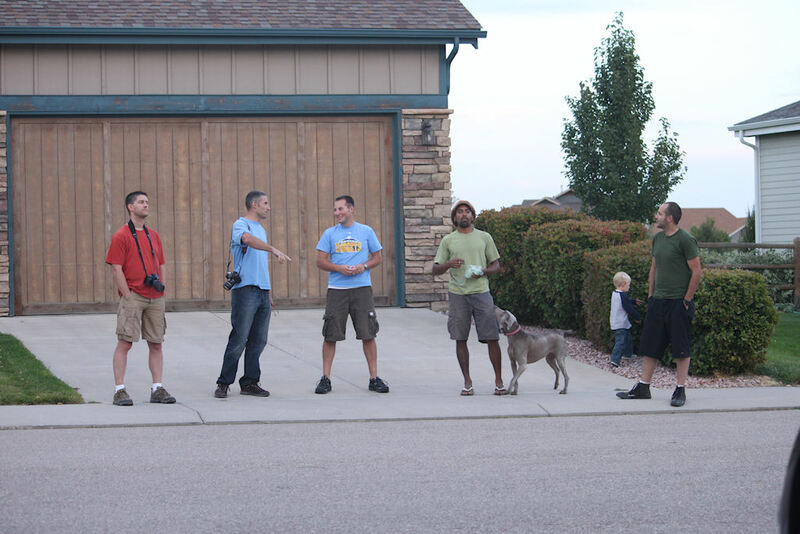 We meet at its creator Jon’s house every spring and fall to stretch our car’s legs a little and geek out in his driveway. 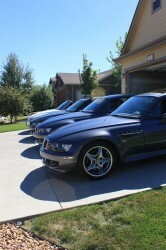 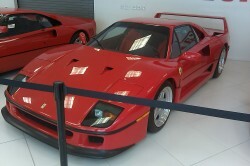 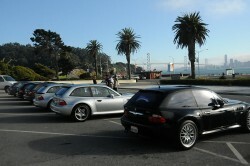 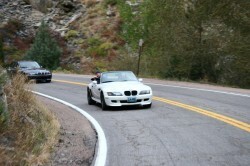 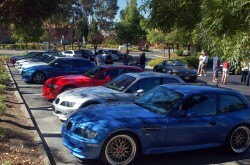 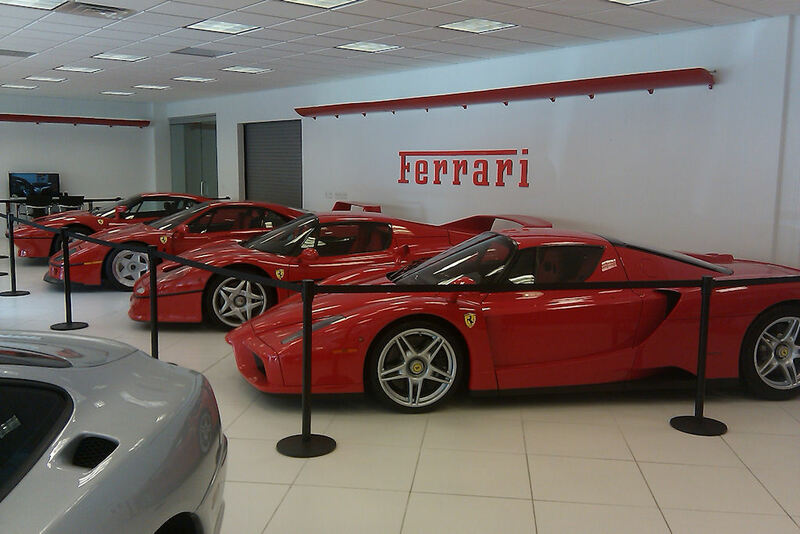 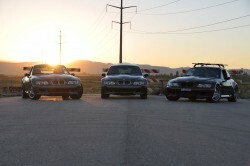 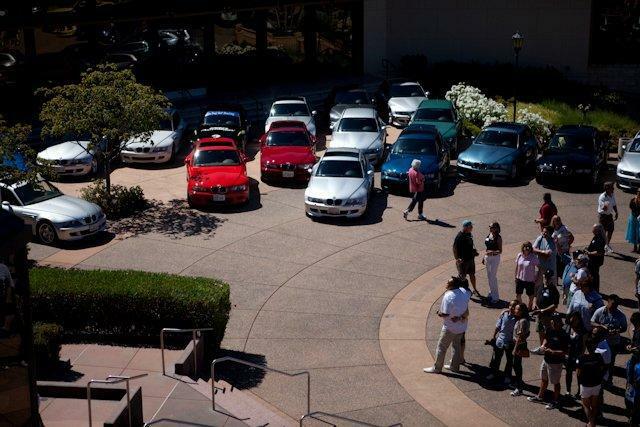 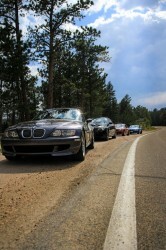 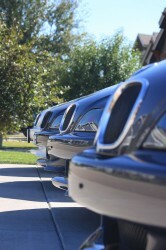 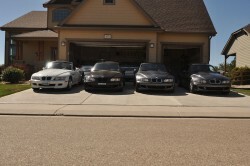 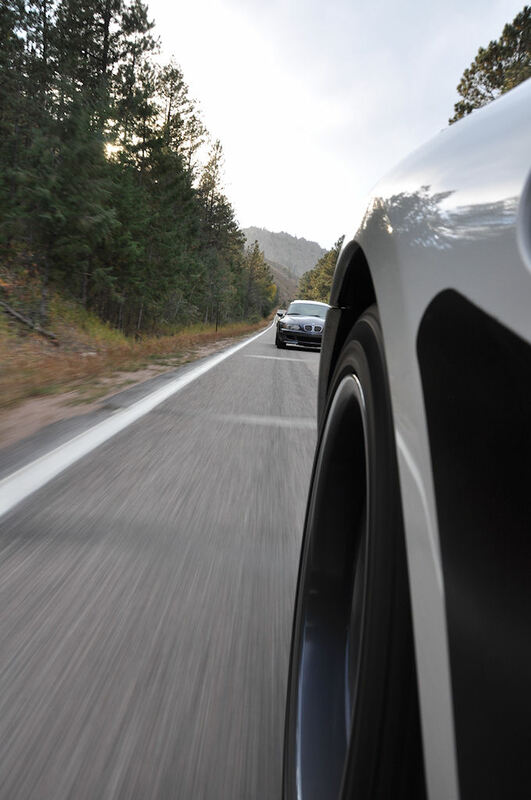 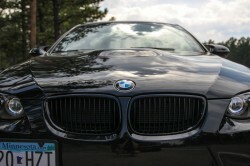 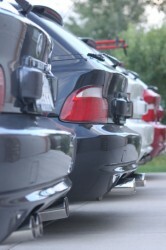 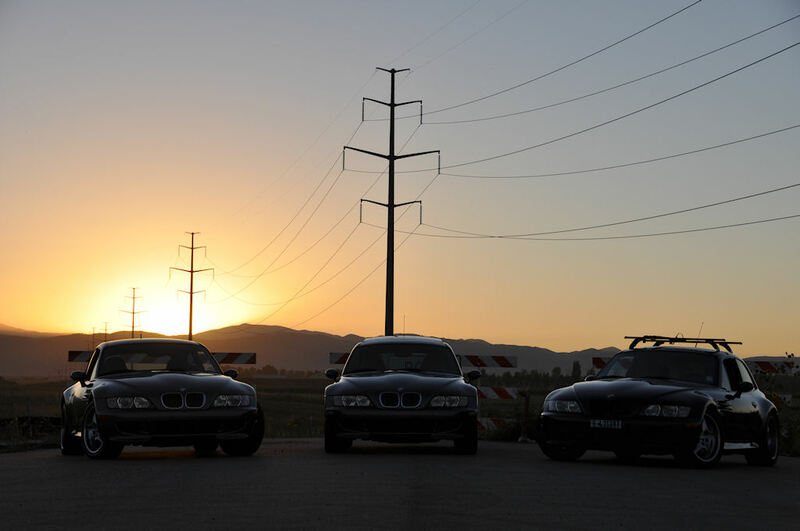 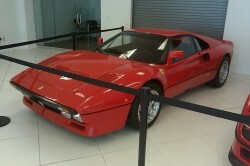 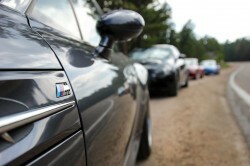 This year we had a record setting 9 M Coupes, 2 M Roadsters, 3 E90 M3’s, 2 E36 M3’s, and 2 motorcycles. My brother John flew out for the weekend and drove the new addition to my fleet, a track prepped M Roady (I’ll post more about that later). 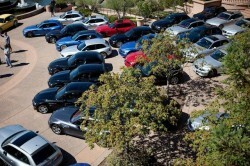 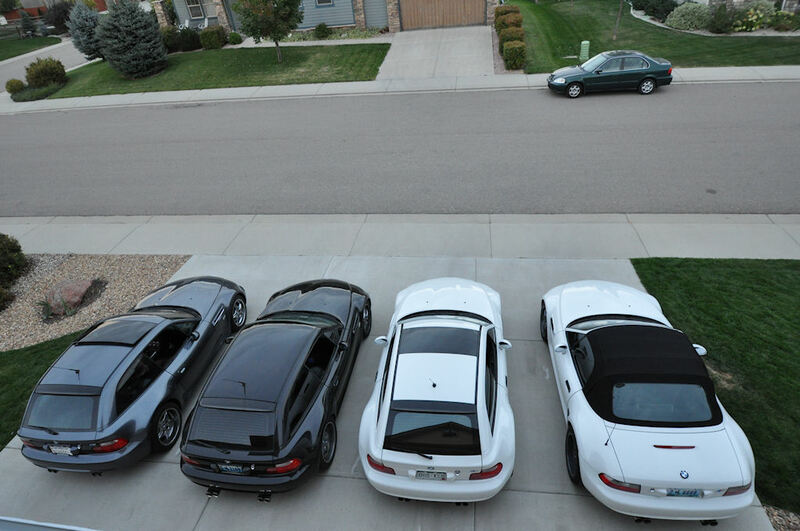 As the cars rolled into Jon’s neighborhood the numbers in attendance this year became staggering compared to previous years. 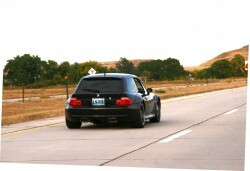 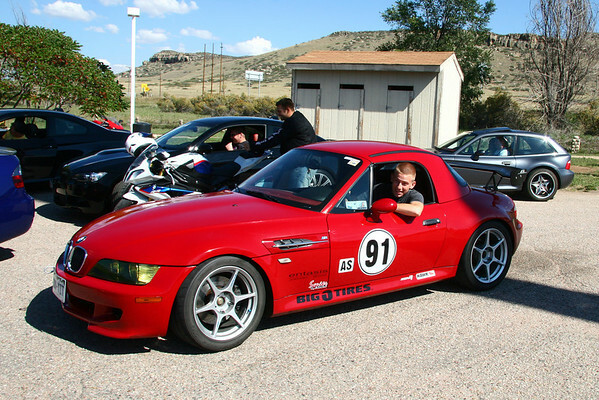 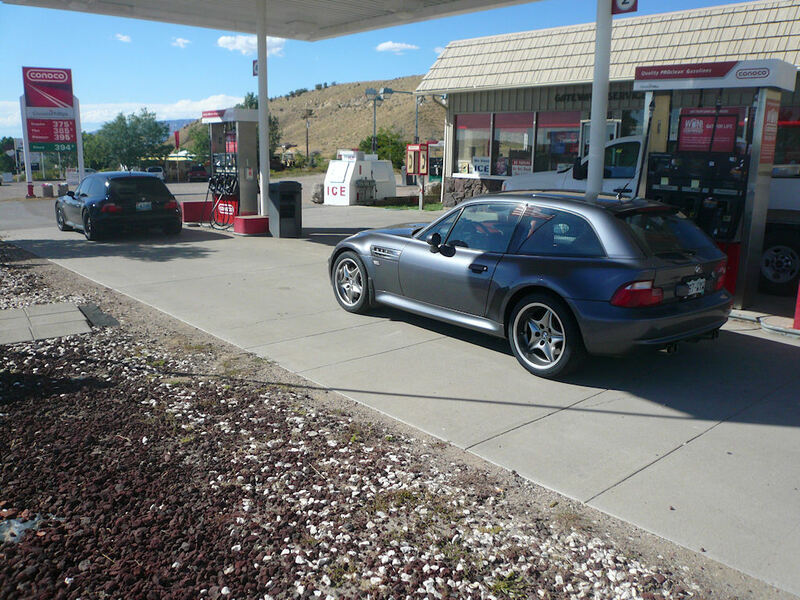 Lindsey travelled the farthest distance, coming all the way from Bozeman, MT in his Cosmos Black M Coupe with gold wheels. 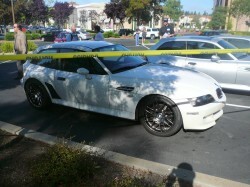 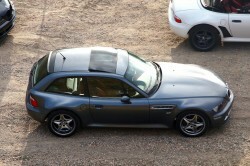 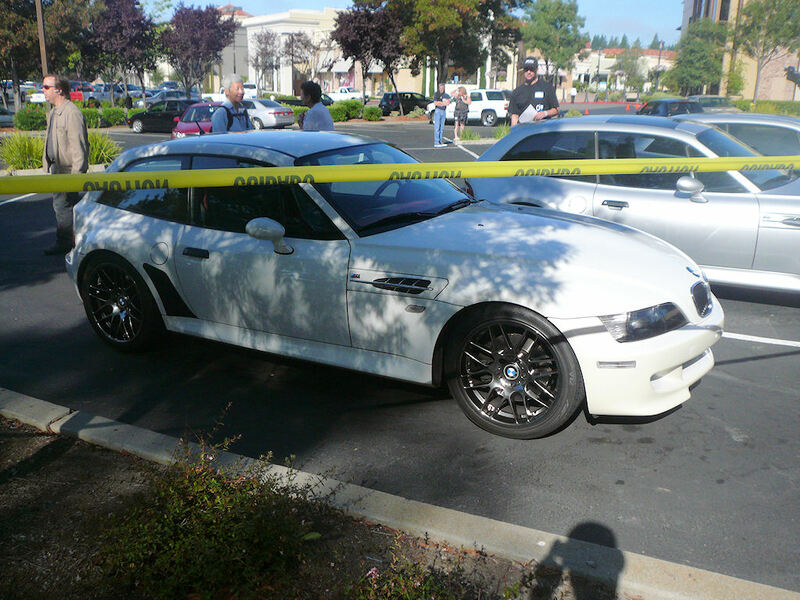 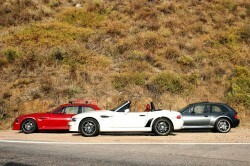 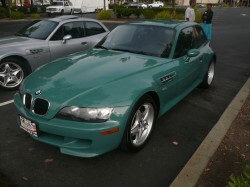 Colby had the newest addition, with his nearly mint Dakar Yellow M Coupe. 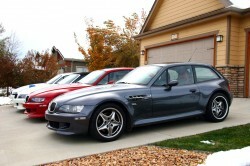 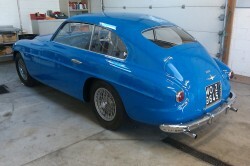 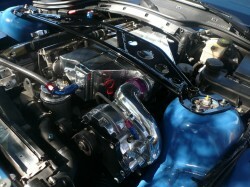 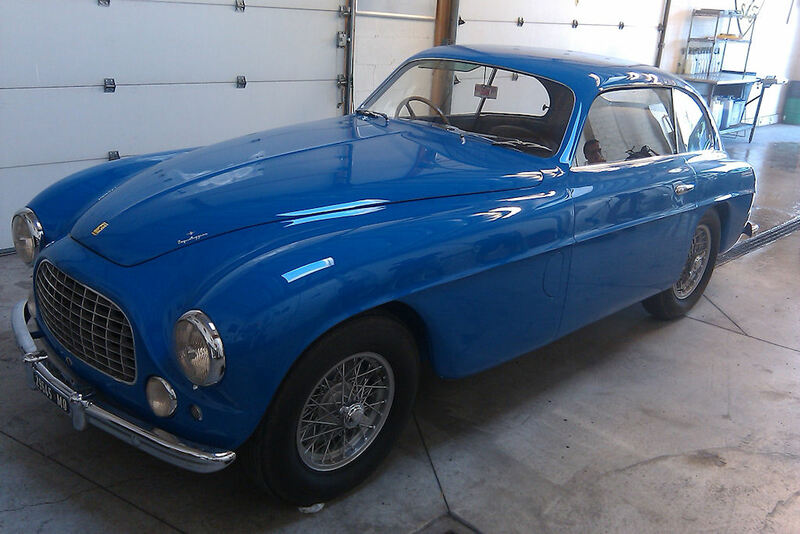 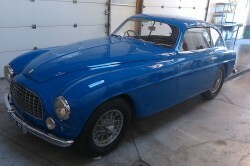 Seth, who I met by refusing to allow his oil to be changed at Jiffy Lube came up with his Estoril Blue M Coupe. 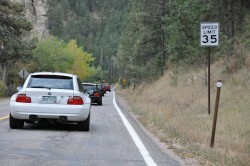 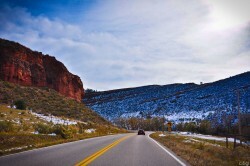 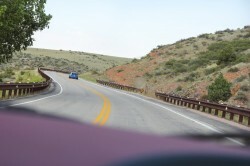 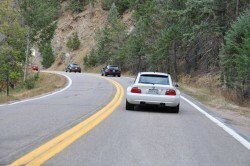 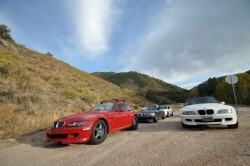 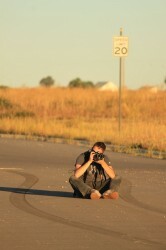 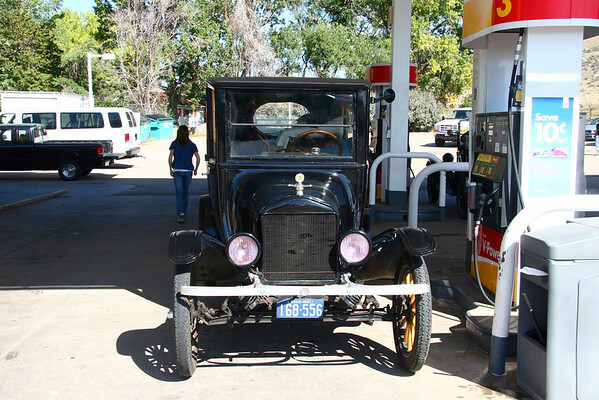 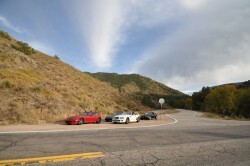 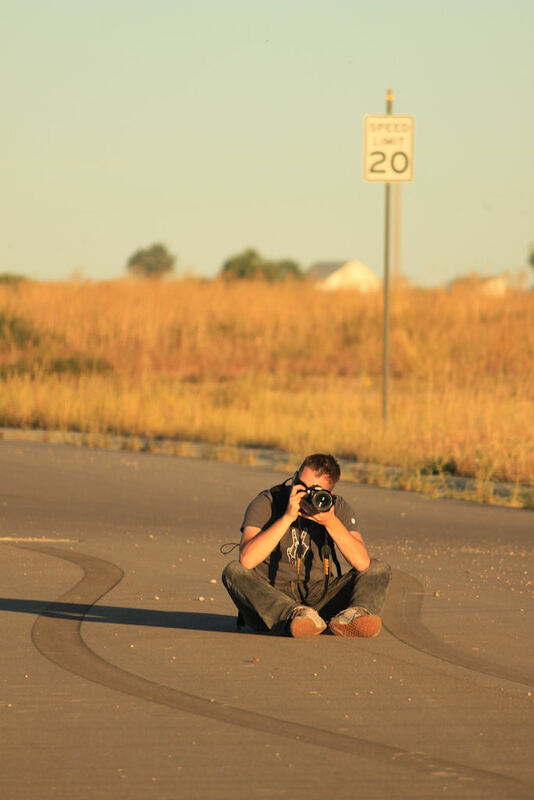 After the obligitory photo session we drove out usual route through Poudre Canyon and Stove Prairie. 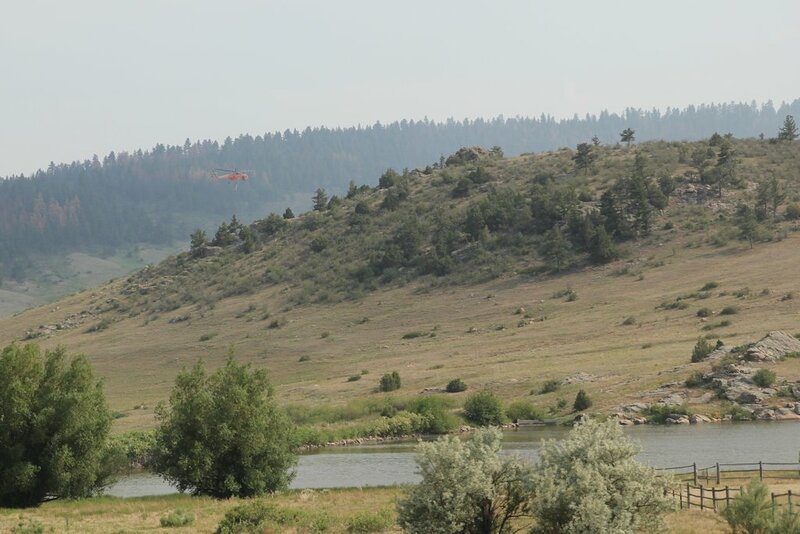 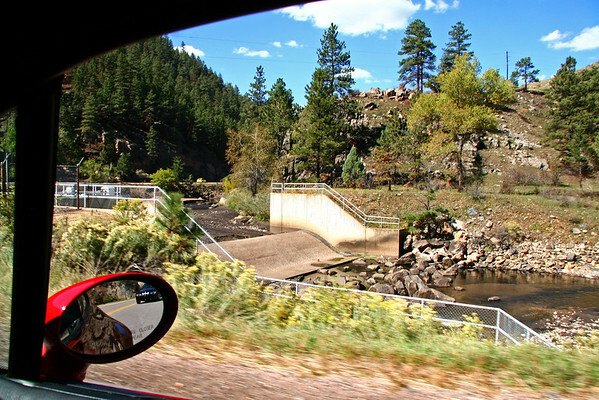 The High Park Fire this year had scorched large swaths of the canyon, while the ongoing drought had reduced the Poudre River to a trickle. The colors of the canyon were diverse, with the usual yellow and orange colors contrasted deeply by black and greys in the burned areas. 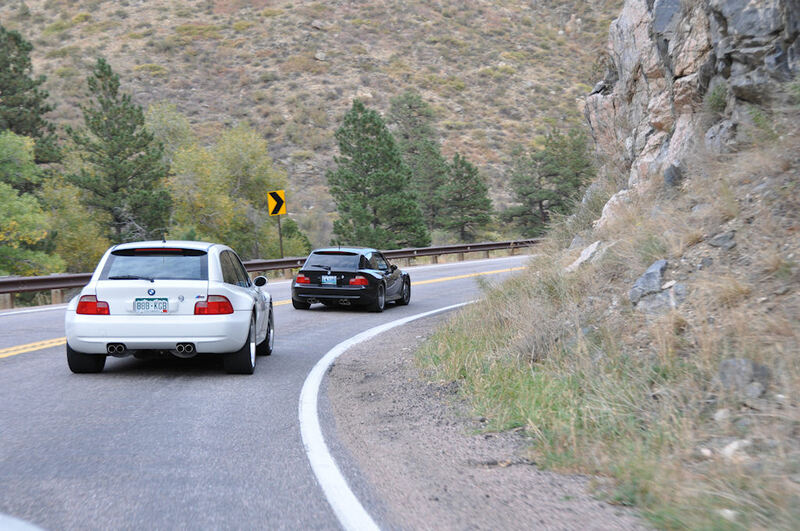 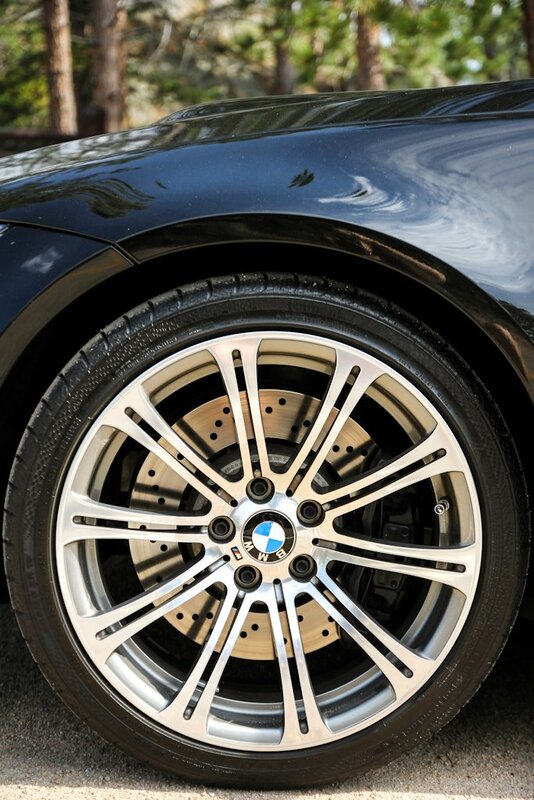 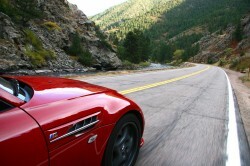 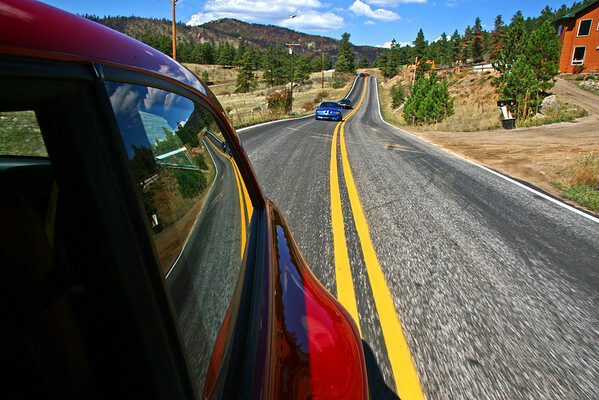 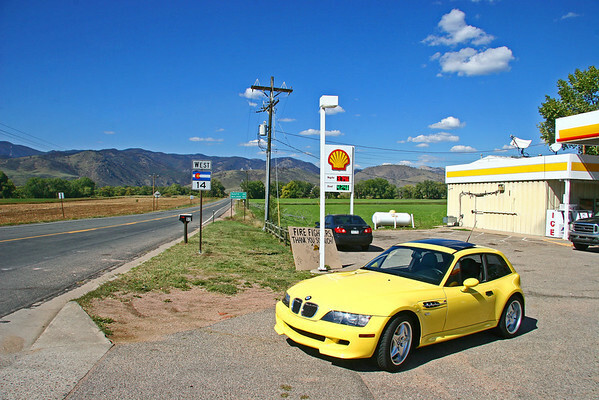 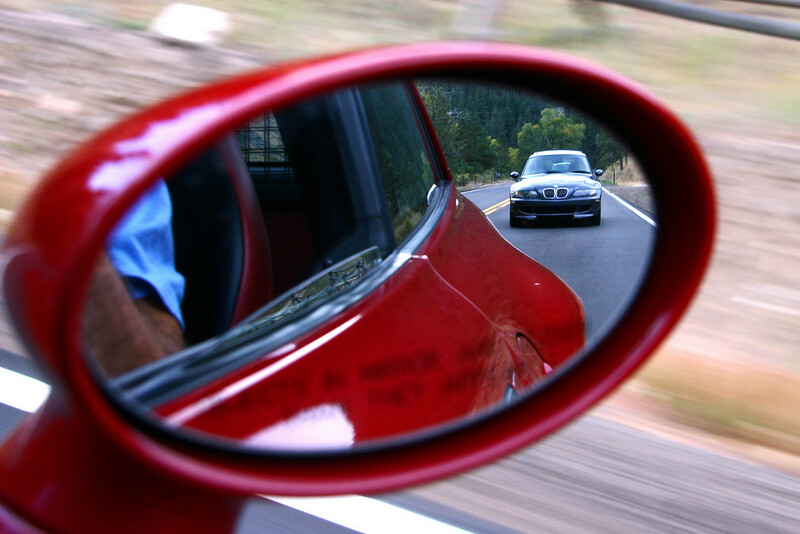 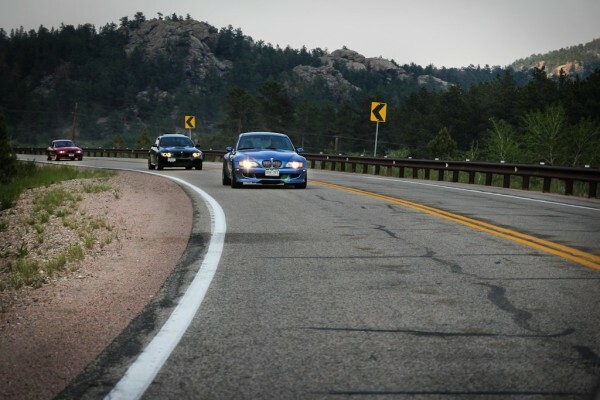 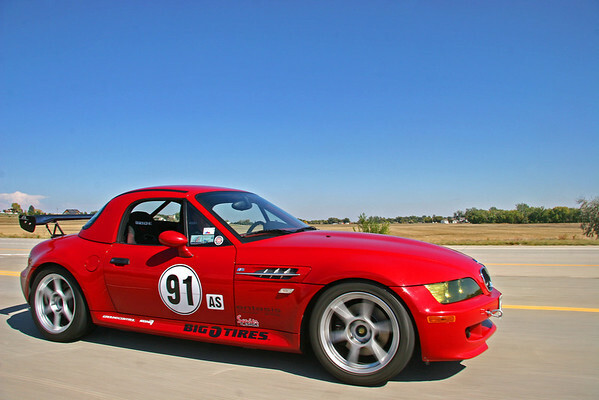 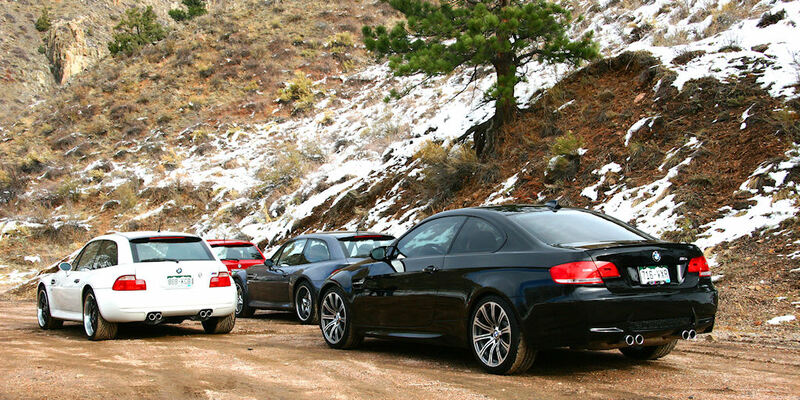 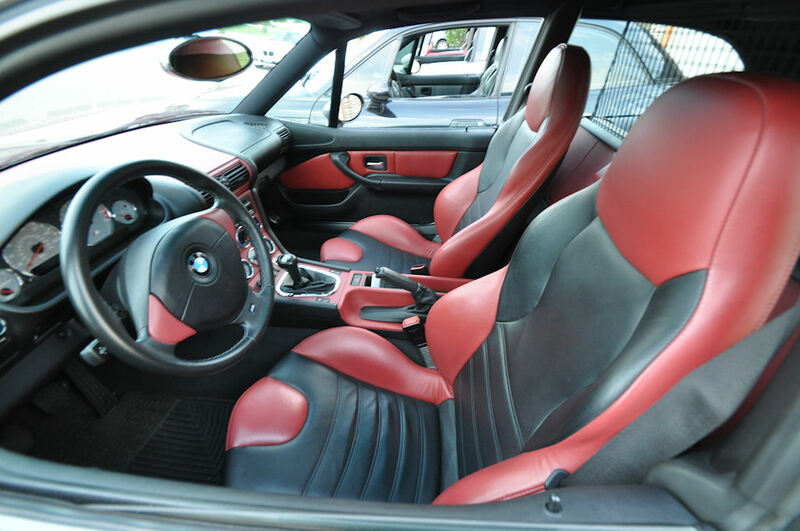 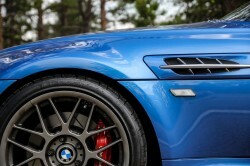 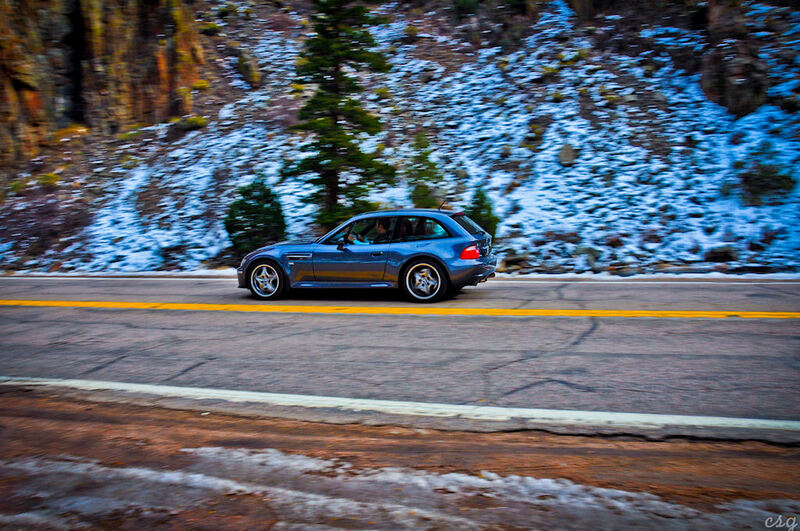 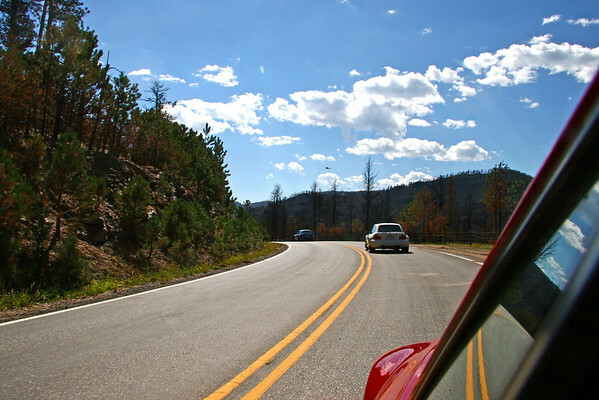 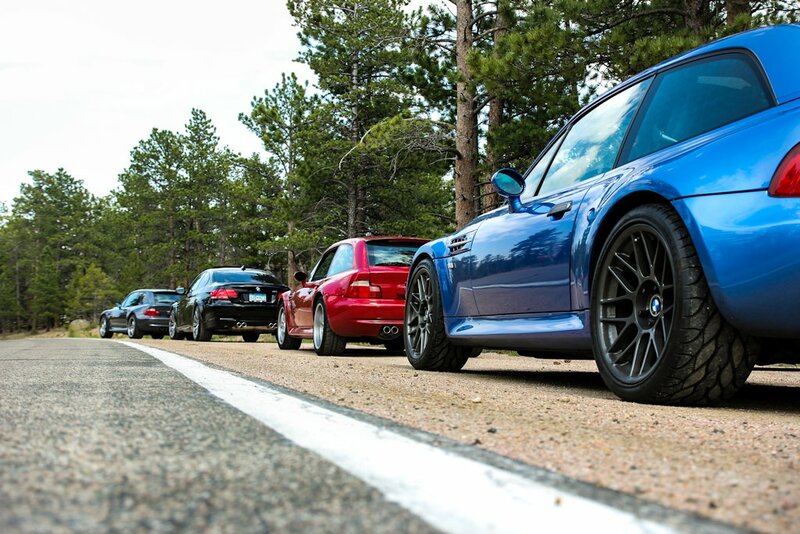 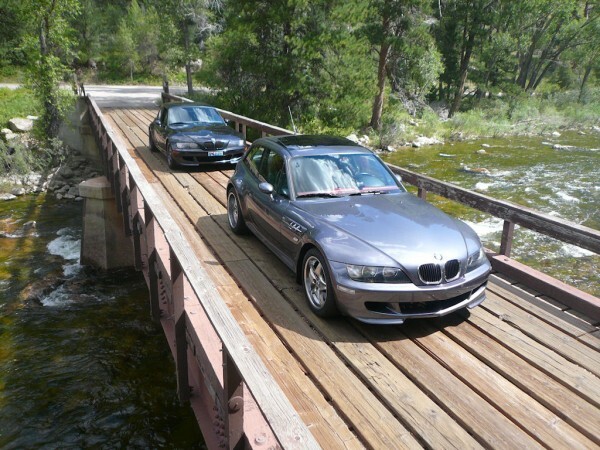 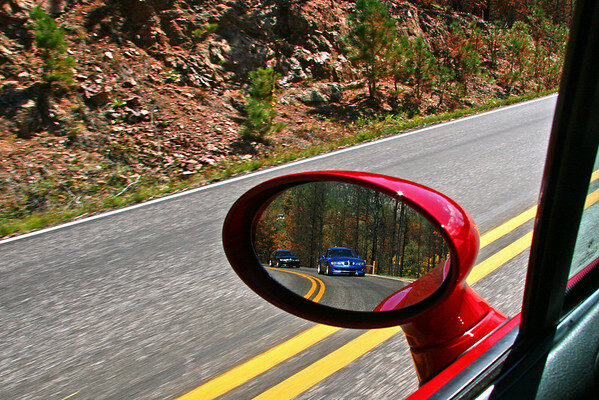 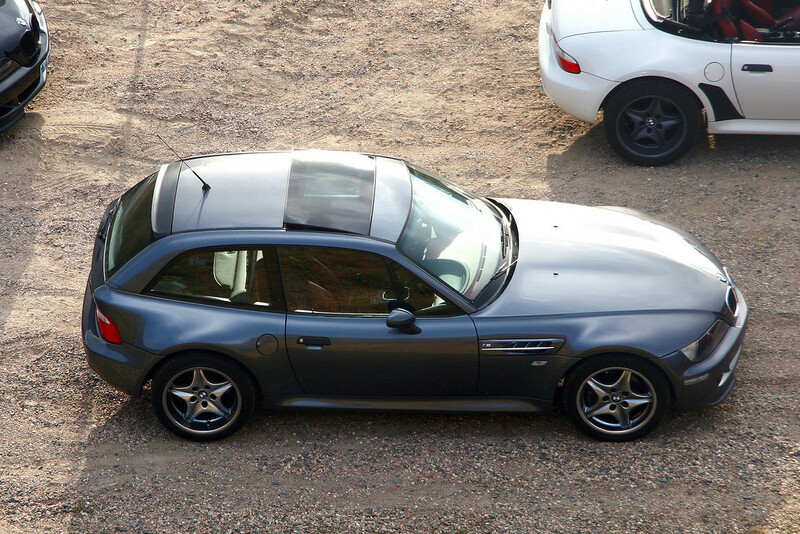 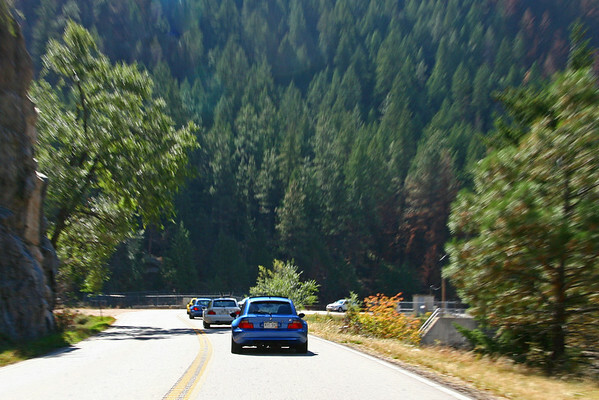 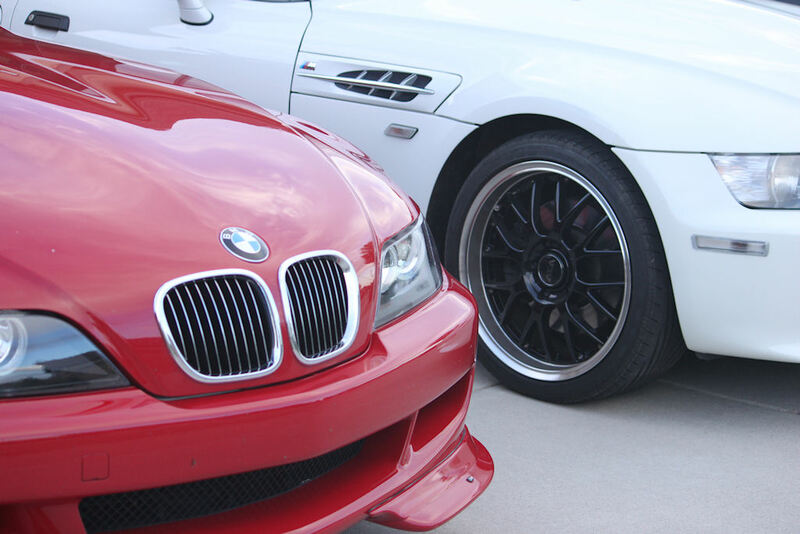 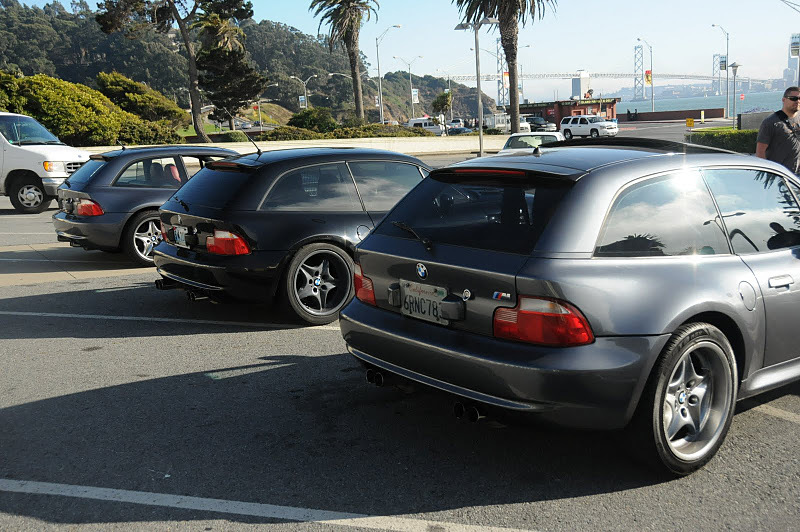 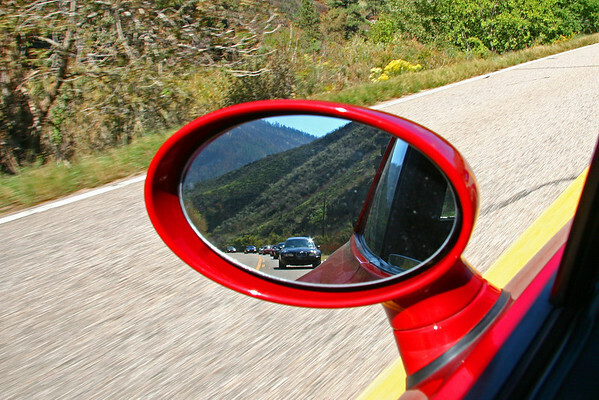 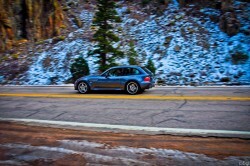 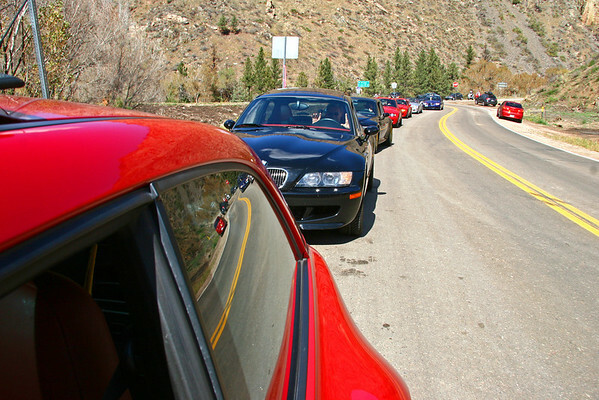 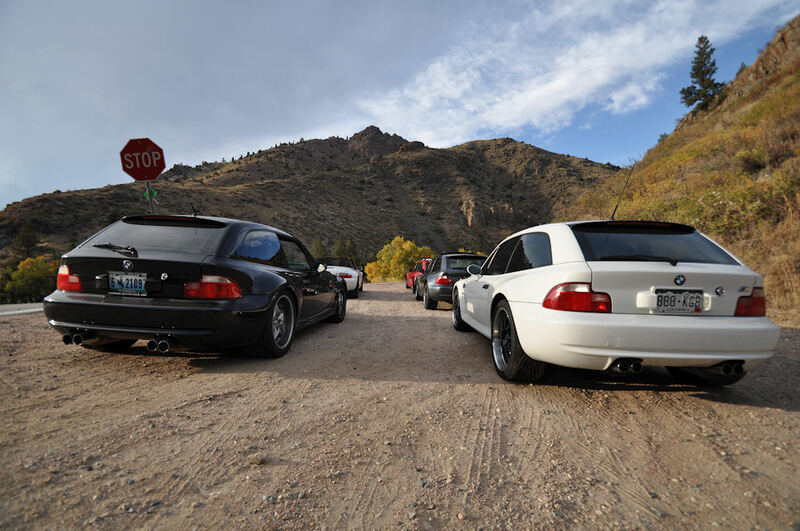 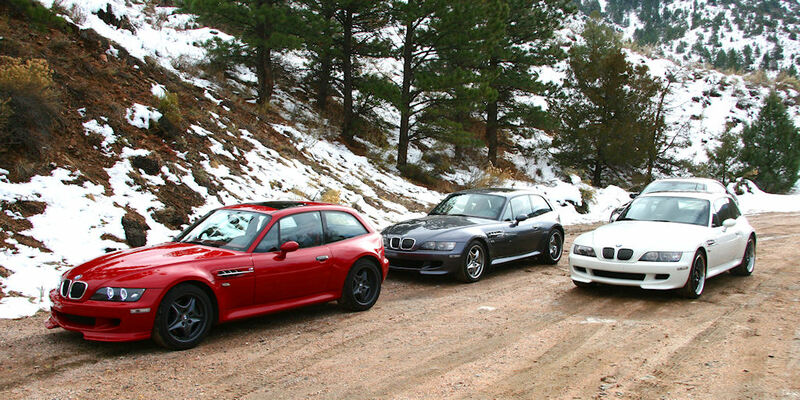 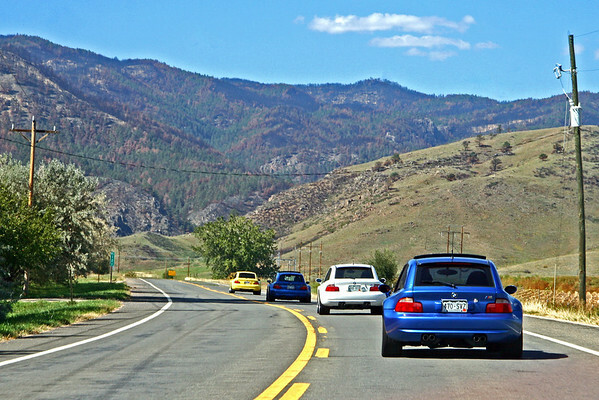 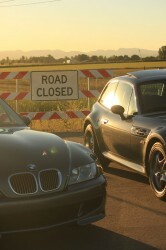 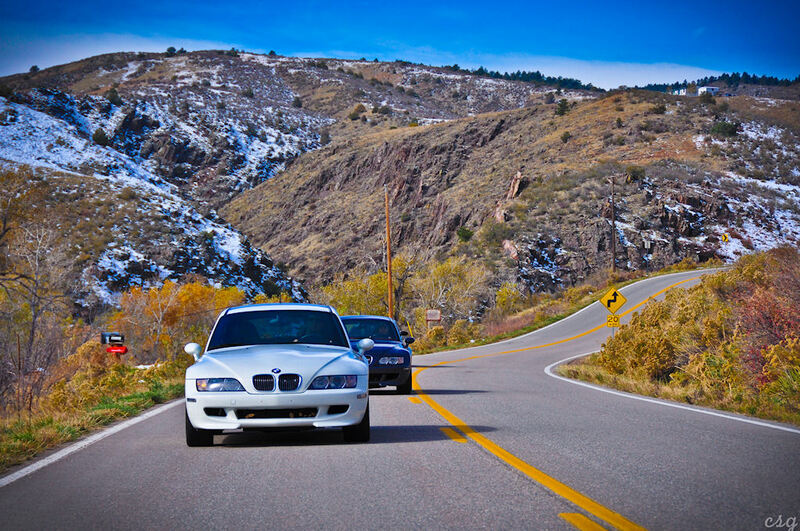 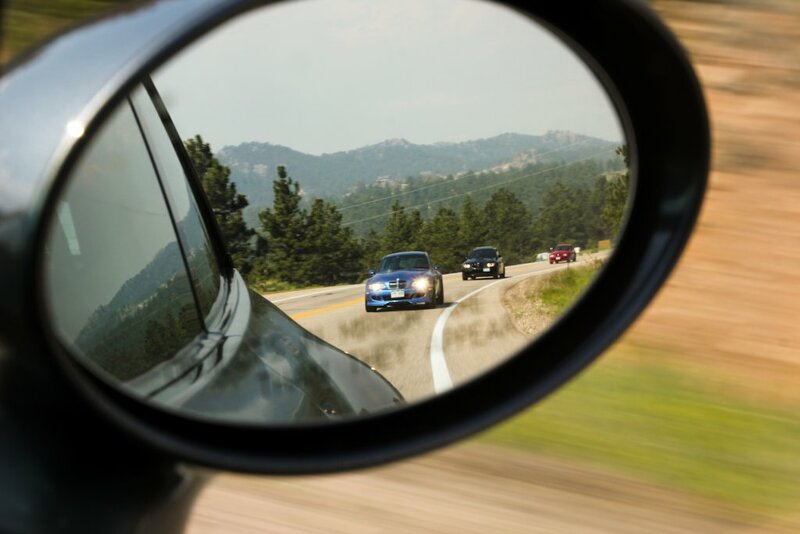 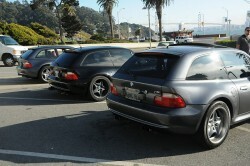 There was a certain beauty to the destruction that contrasted the vivid colors of our M Coupe’s brilliantly. 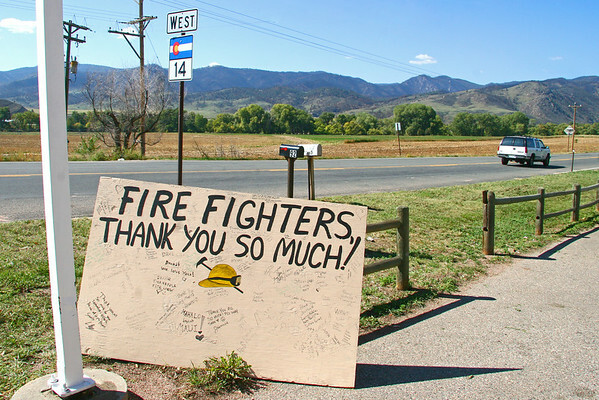 The impact of the fire on the community, even after three months, was still fresh. 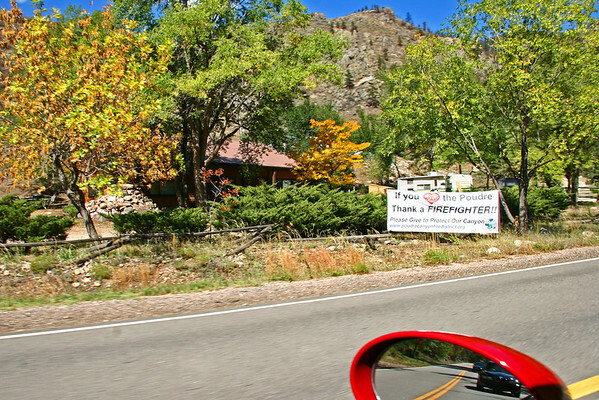 Signs thanking firefighters were posted by many residents and on Stove Prarire helicopters were dropping straw on mud slide prone burn areas. 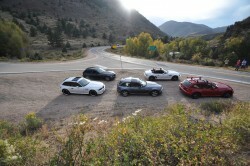 John and I had to break off at the end of the drive, but not until we all got together for one last photo session overlooking Horsetooth Reservior. When our coupe did not arrive in time for the final Bimmer Burger Night of the summer, my amazing wife suggested we should just host our own BBQ to introduce our coupe to the world. Our coupe came at kind of a busy point in our lives, so we sent out the invites the day before. Amazingly we were able to find a few takers on such short notice. 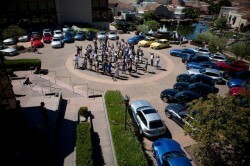 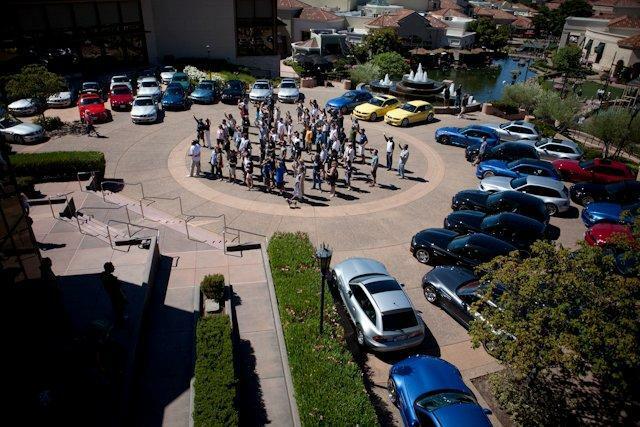 We then thought, “We should do this every year and make it an annual thing.” Hence it became the 1st Annual M Coupe Buyers Guide End of Summer BBQ. 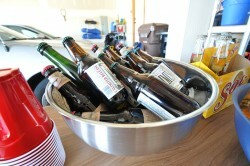 We had so much fun, we may need to institute a Fall BBQ, Spring BBQ, Beginning of Summer BBQ, and Mid-Summer BBQ. 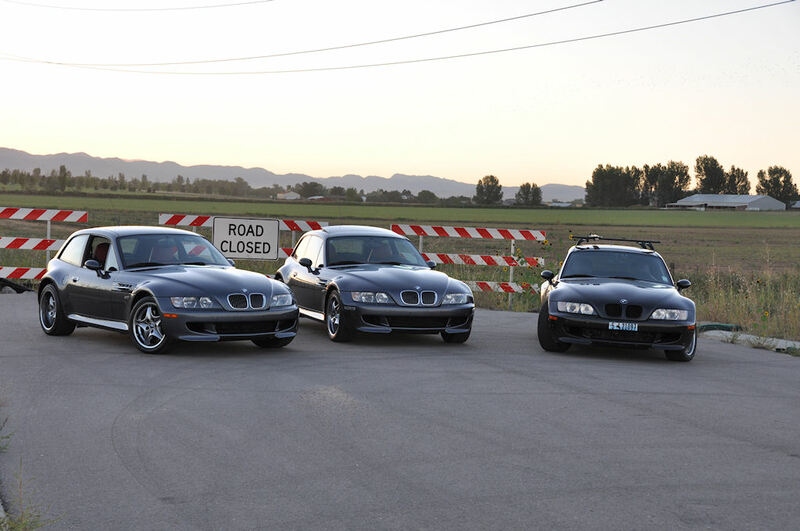 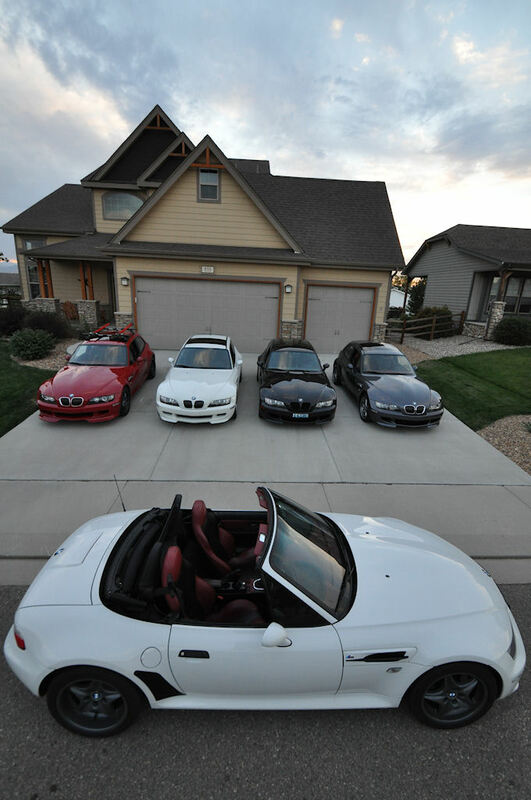 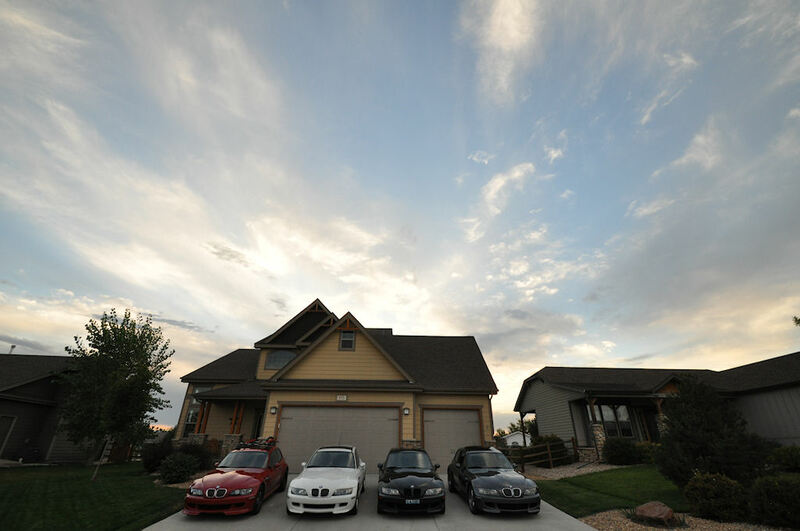 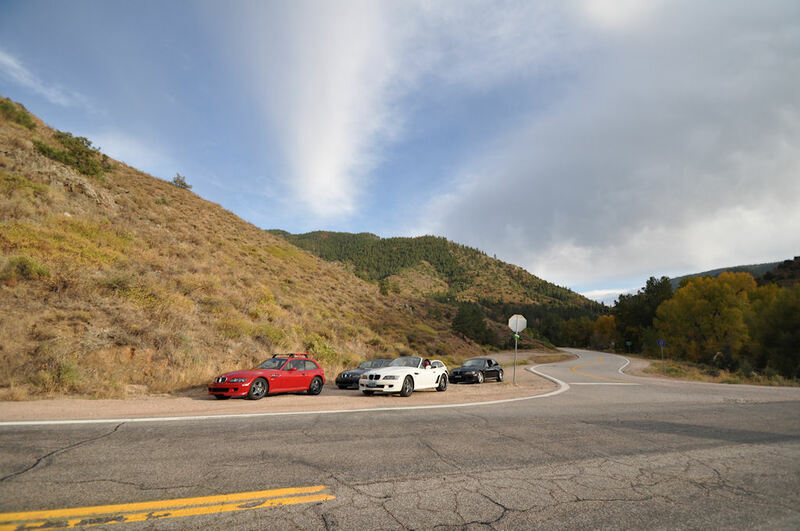 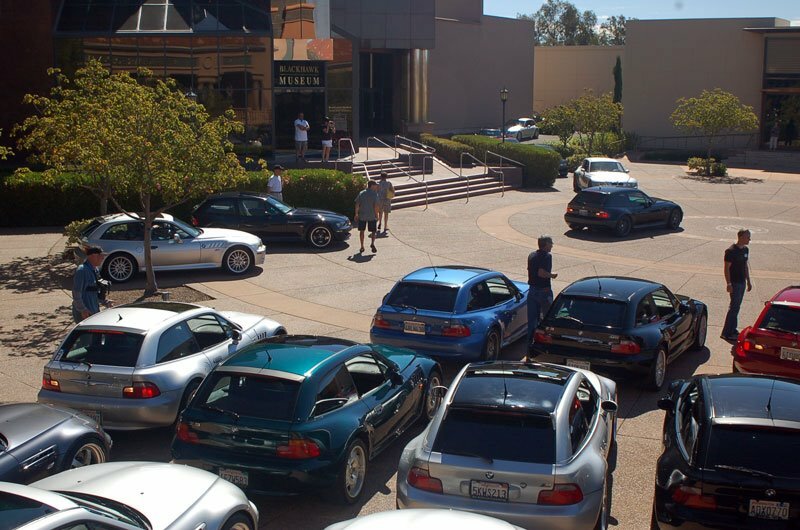 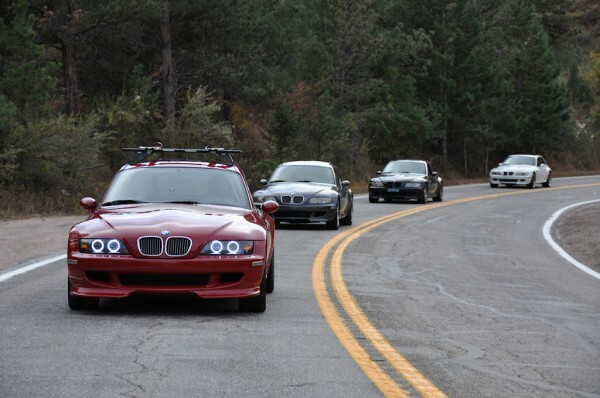 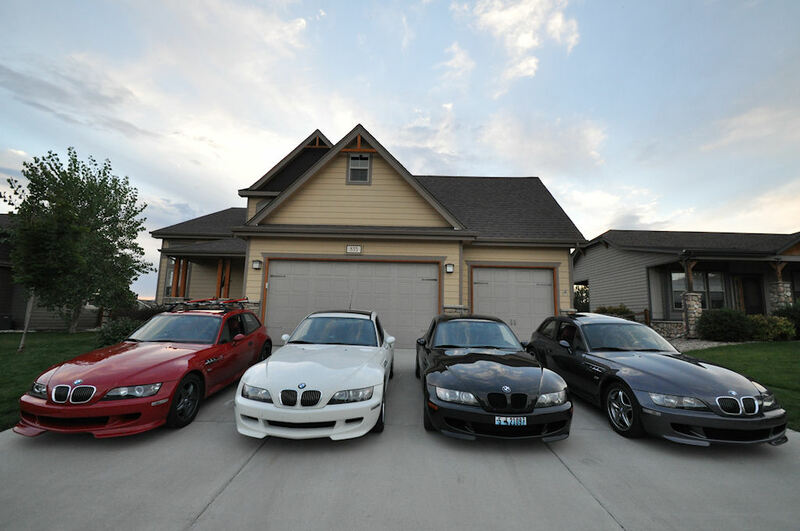 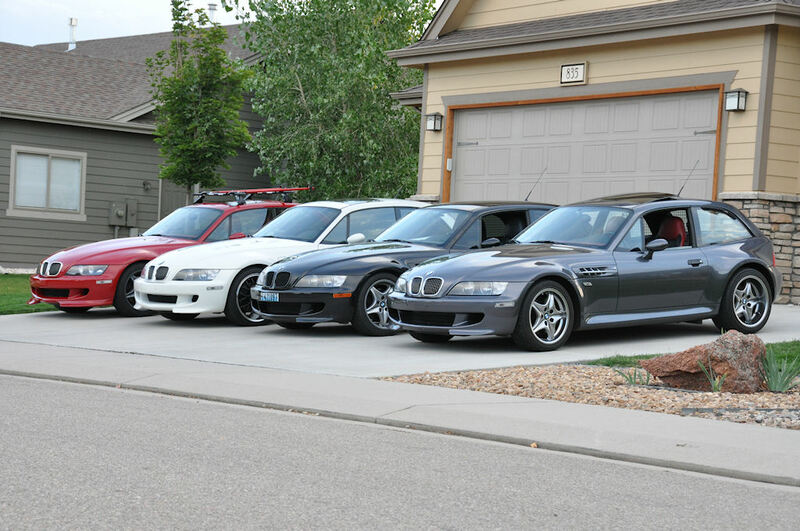 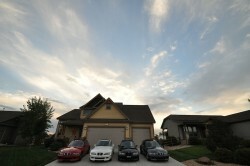 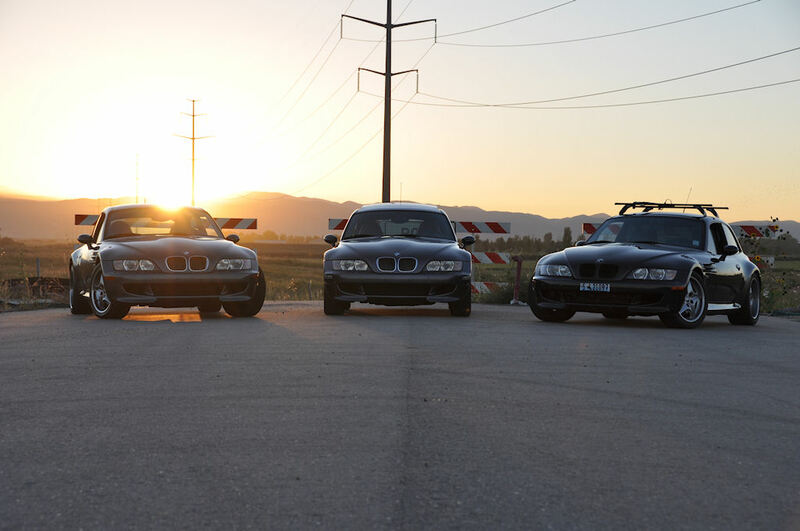 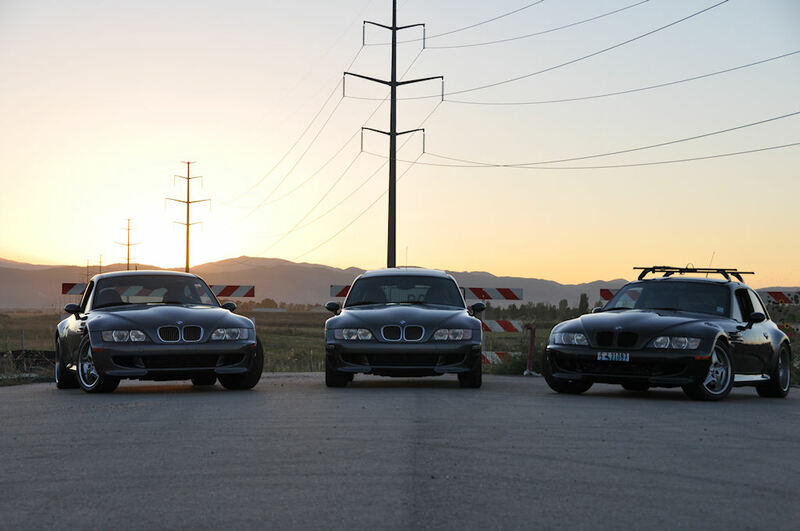 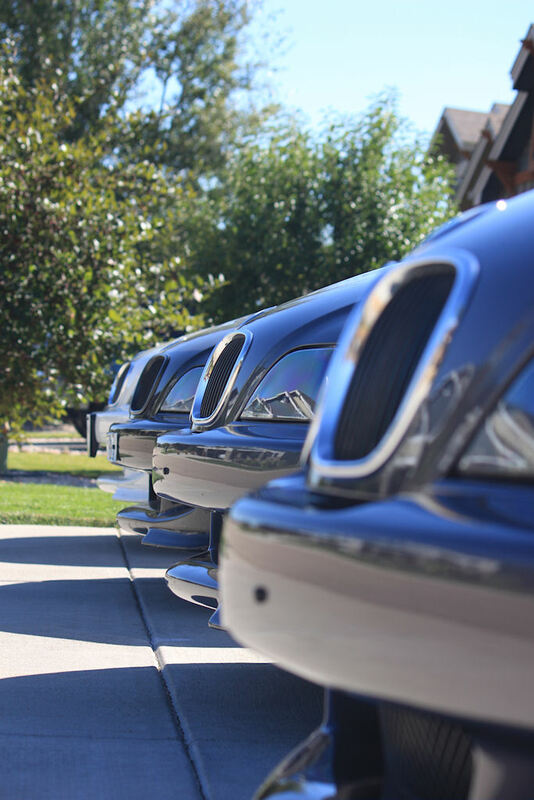 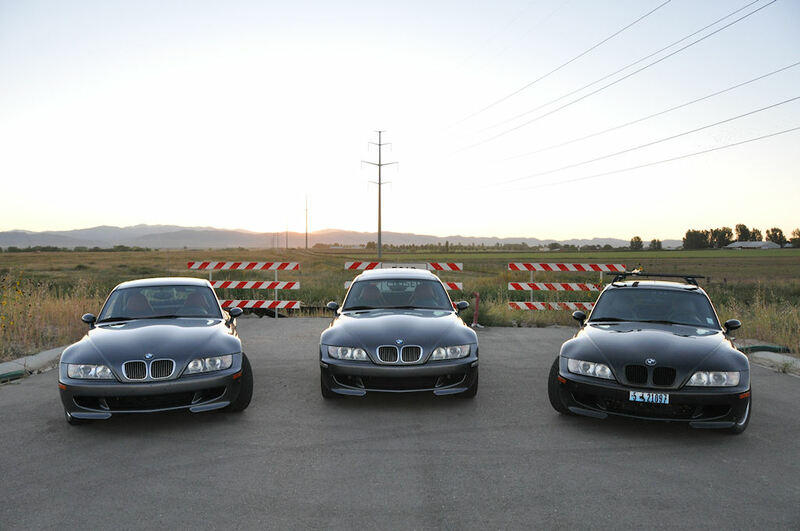 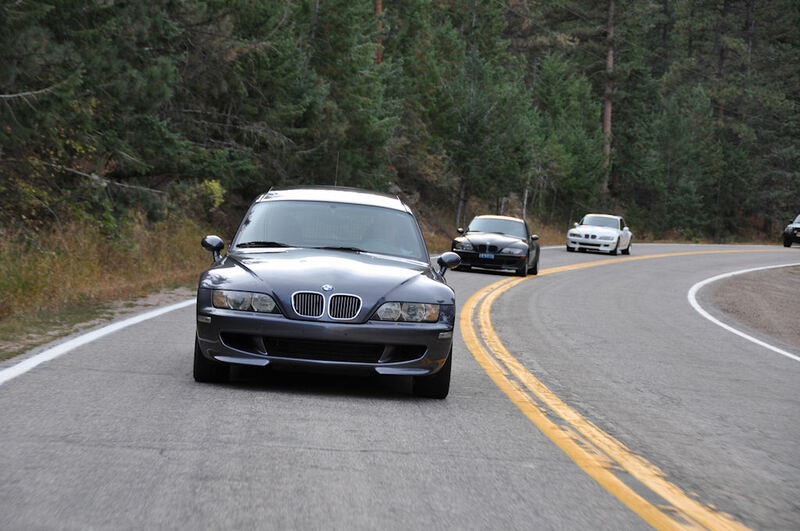 Our attendees included Glenn with his 2002 Steel Gray over Imola Red sunroof-delete M Coupe with only 7,000 miles, Lindsey with his 2000 Cosmos Black over Dark Gray sunroof-delete M Coupe, and Colby with his 2002 Alpine White over Imola Red M Roadster. 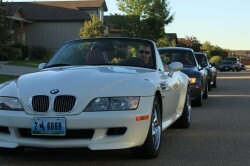 My little sister Lindsay also stopped by to hang out, see my coupe, and take some photos. 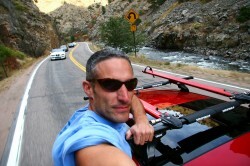 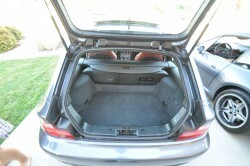 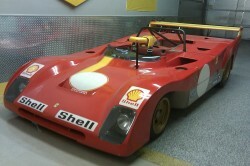 I’m not sure why they say sunroof-deletes are so rare; I was the only one there with a sunroof :). Next time, we’ll try to plan ahead a little better so some others will be able to make it. 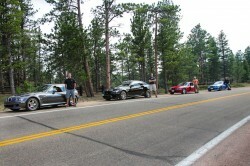 Let me know if you’d like a higher resolution version of any of the photos.